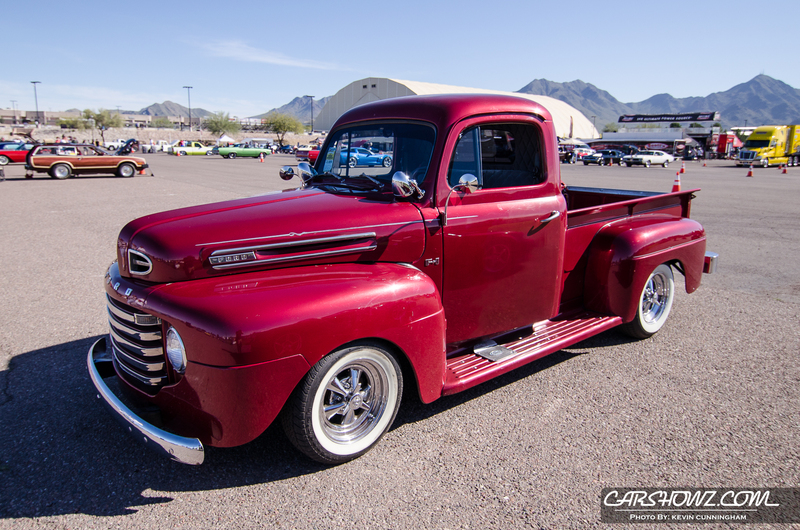 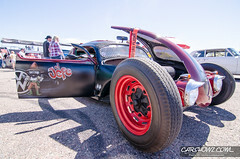 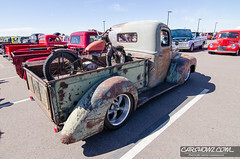 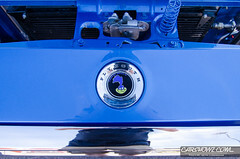 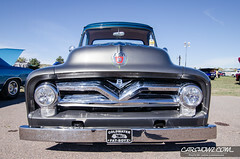 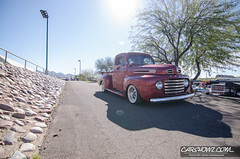 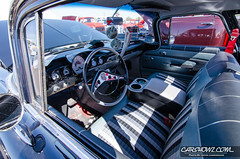 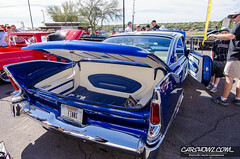 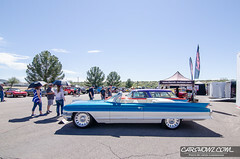 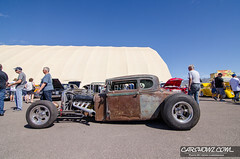 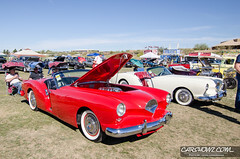 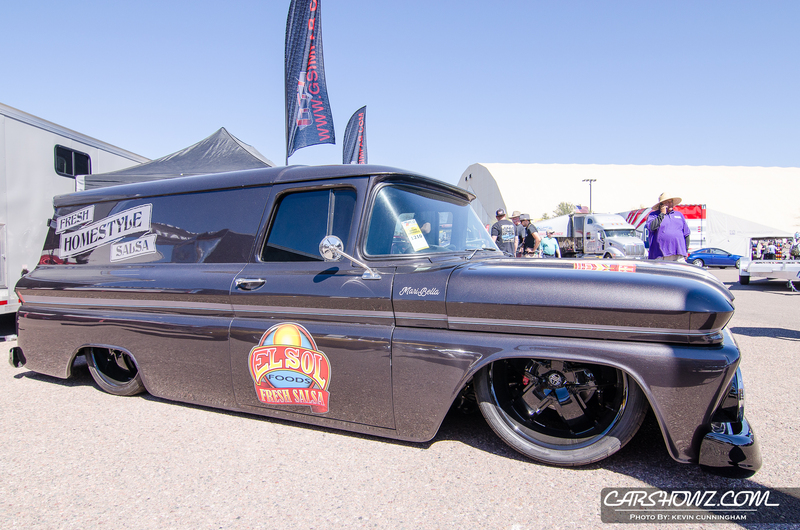 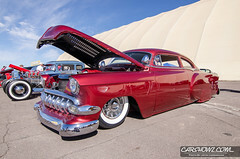 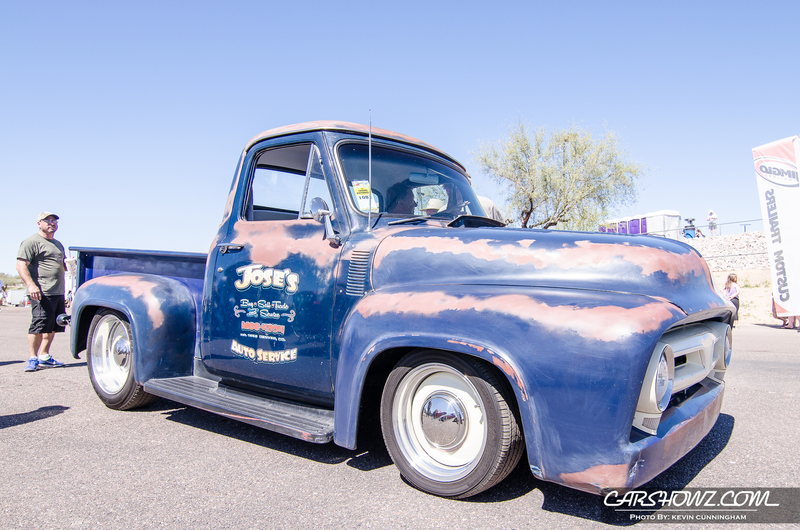 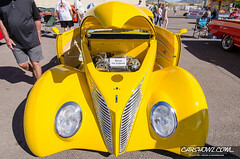 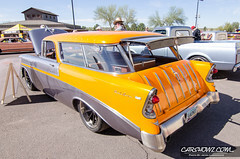 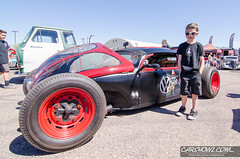 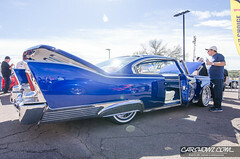 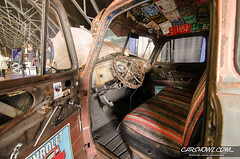 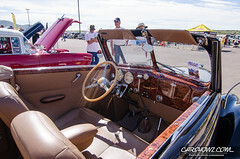 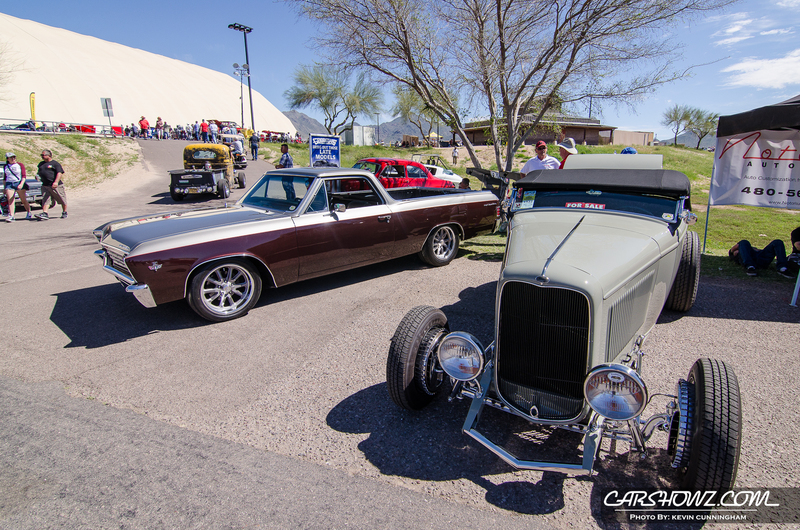 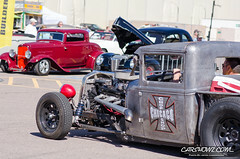 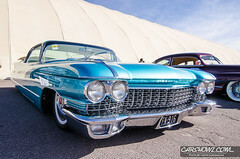 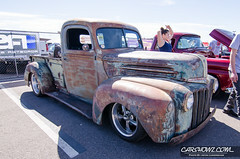 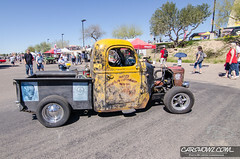 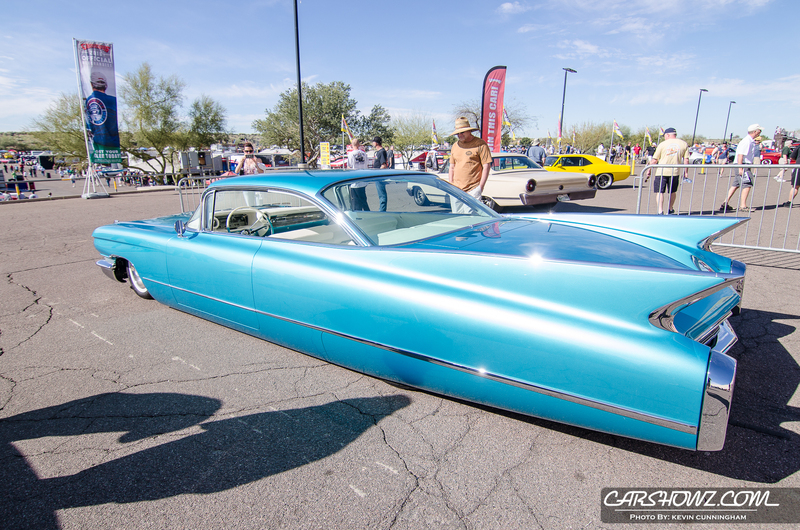 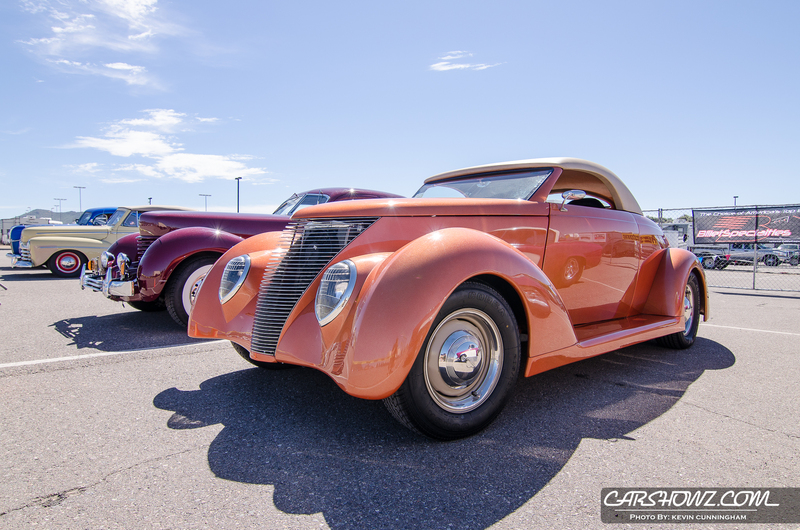 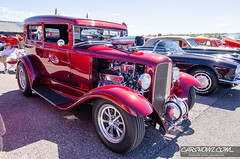 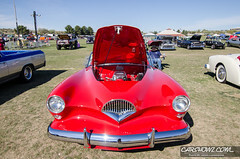 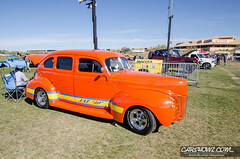 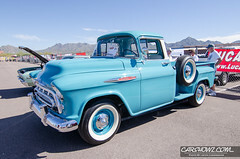 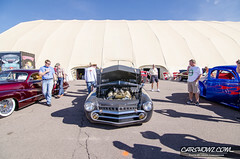 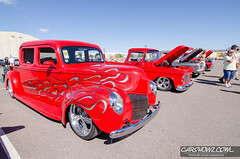 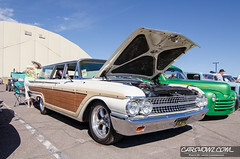 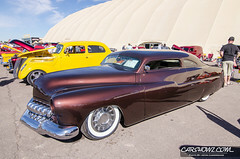 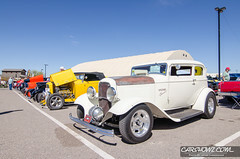 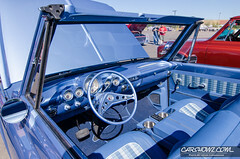 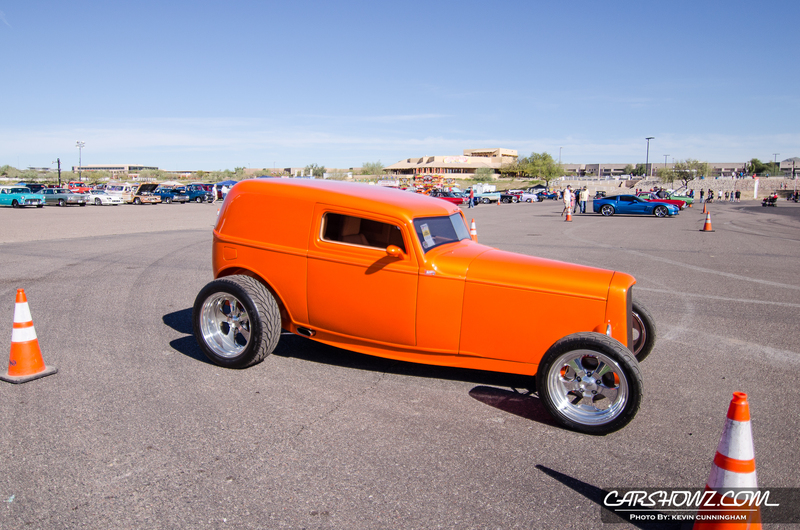 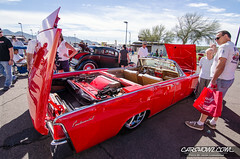 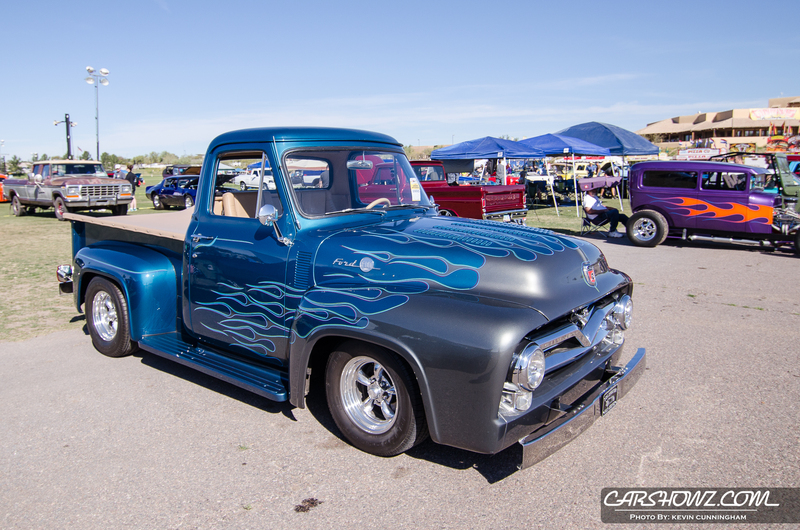 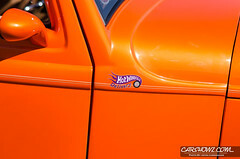 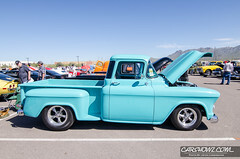 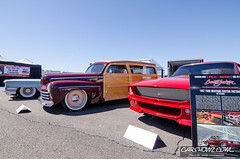 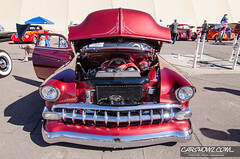 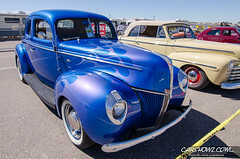 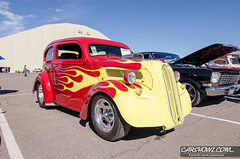 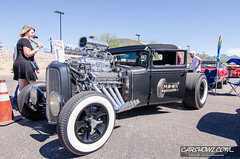 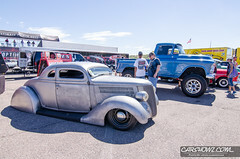 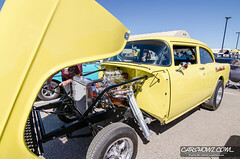 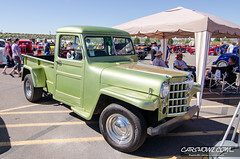 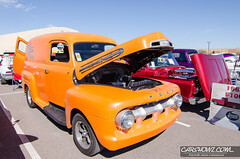 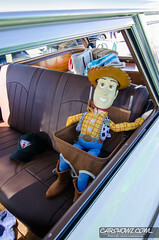 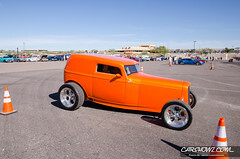 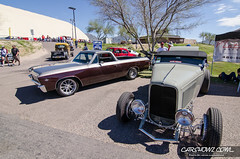 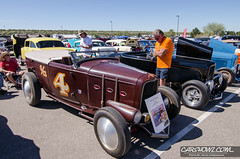 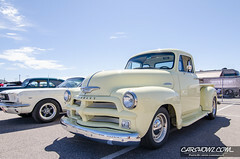 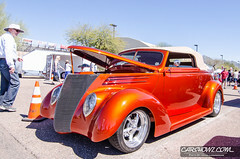 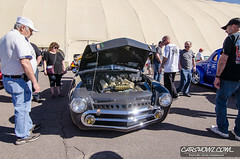 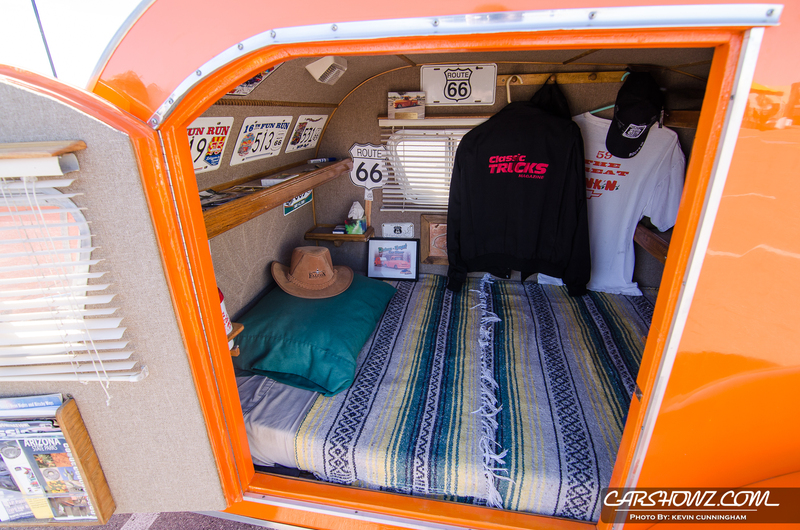 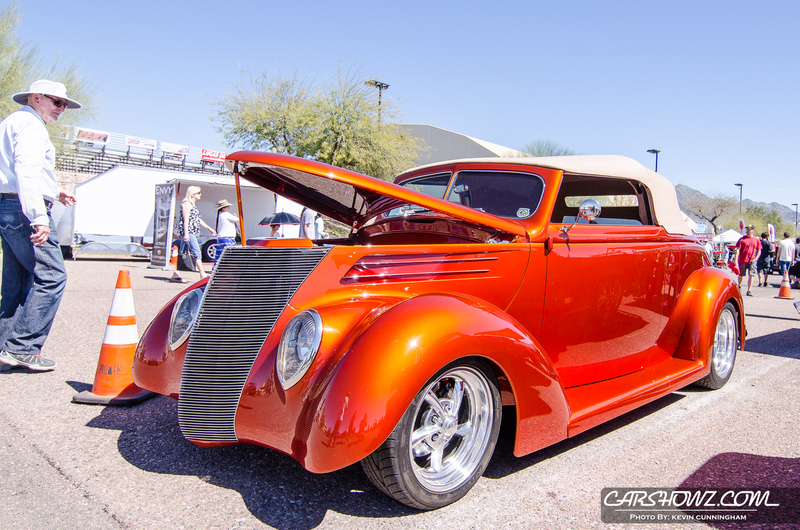 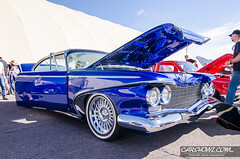 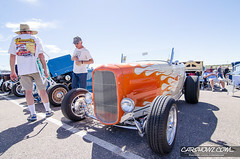 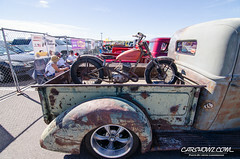 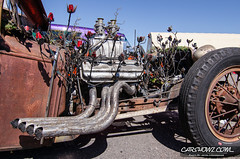 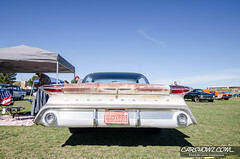 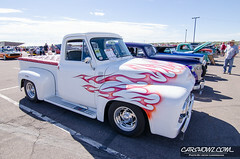 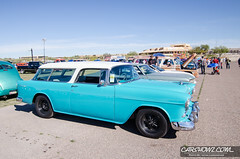 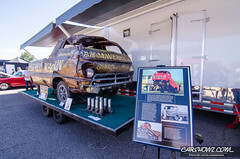 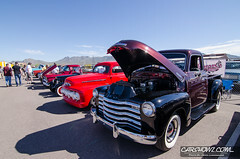 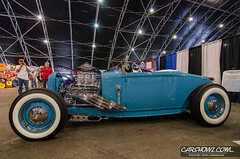 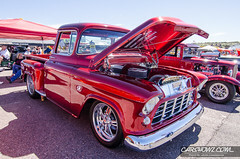 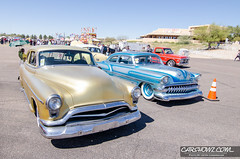 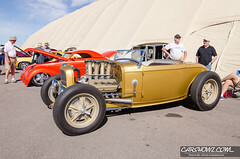 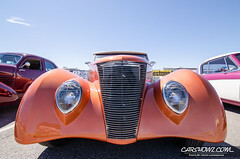 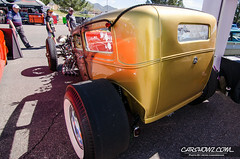 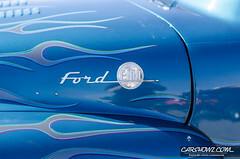 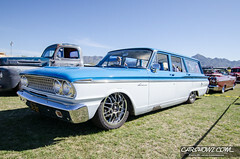 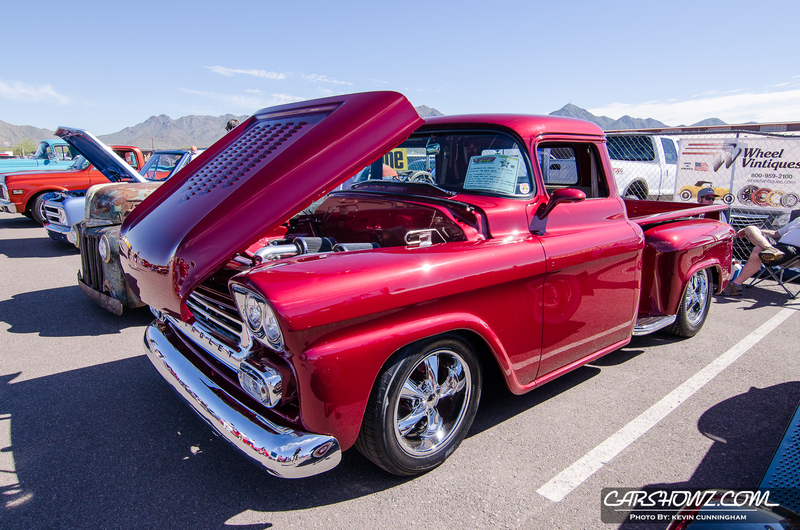 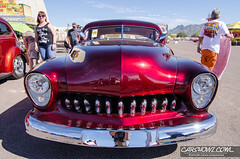 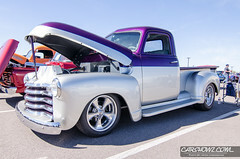 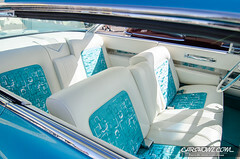 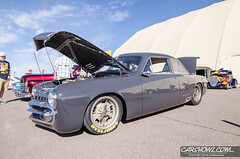 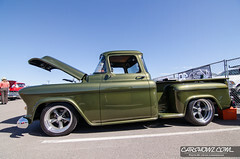 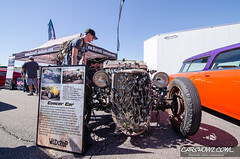 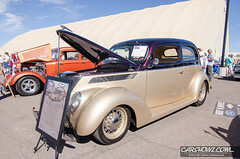 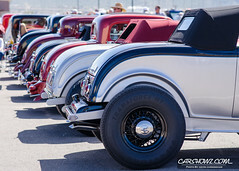 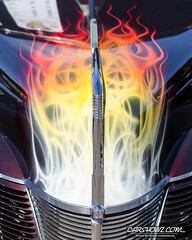 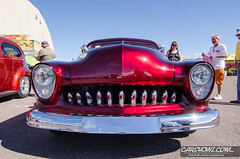 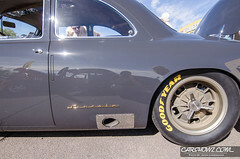 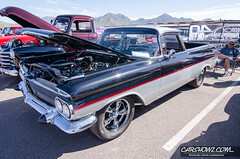 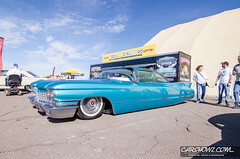 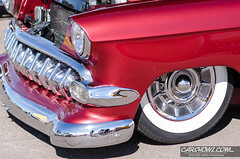 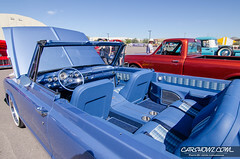 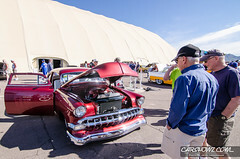 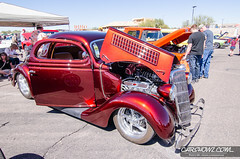 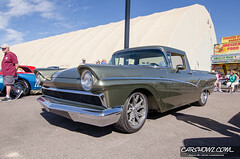 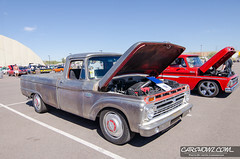 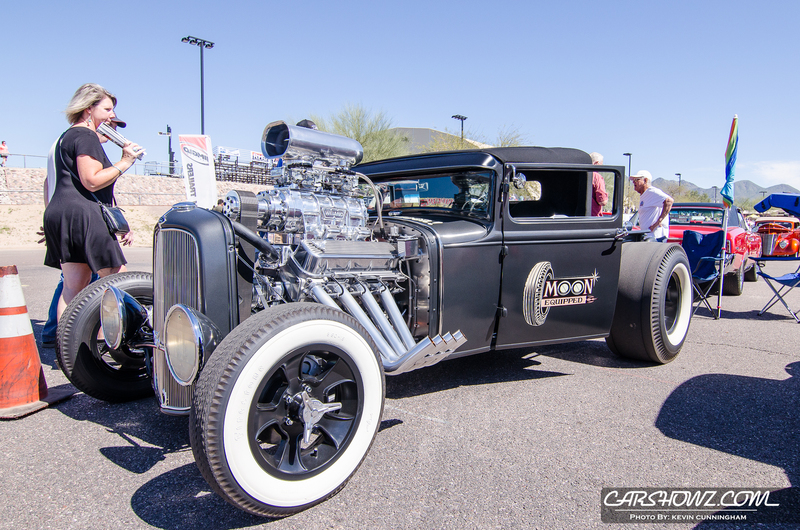 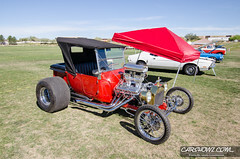 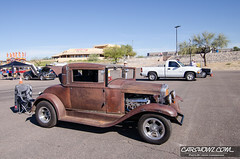 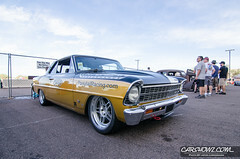 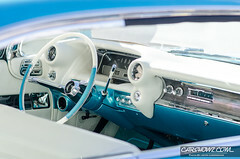 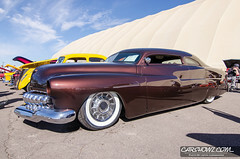 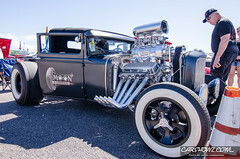 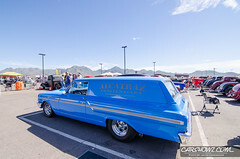 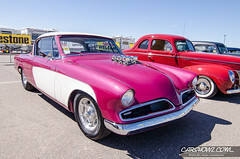 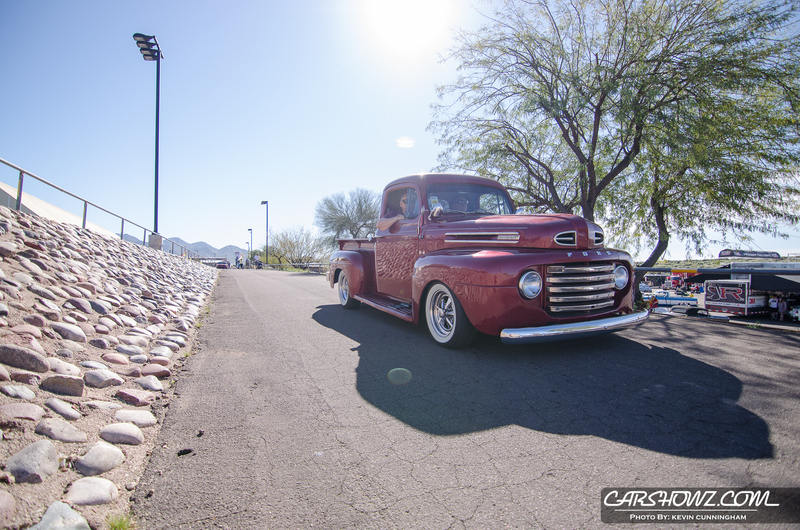 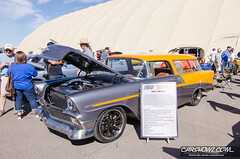 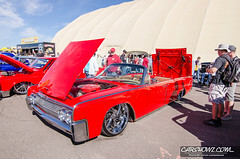 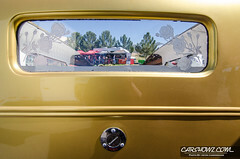 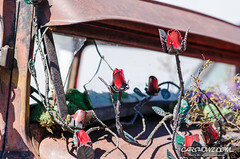 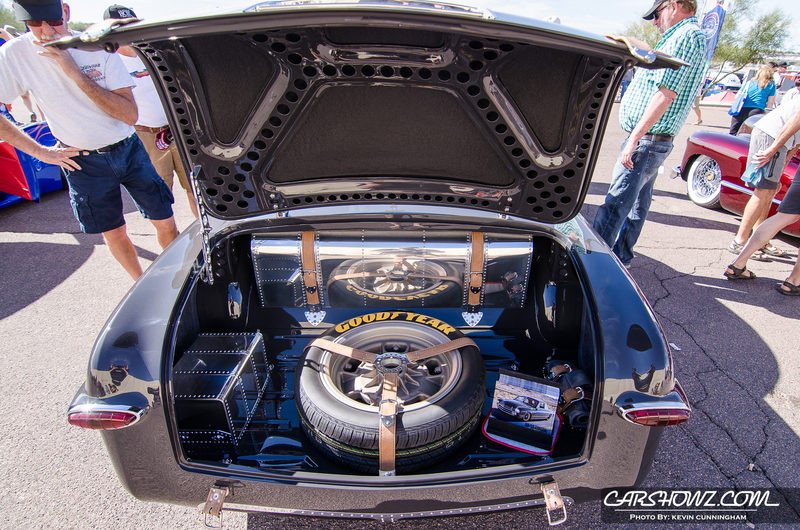 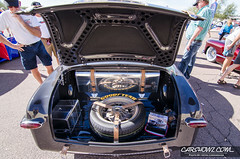 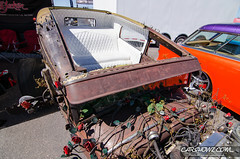 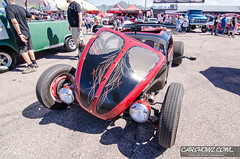 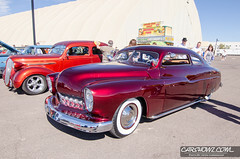 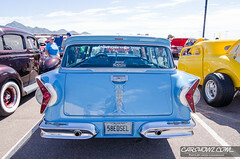 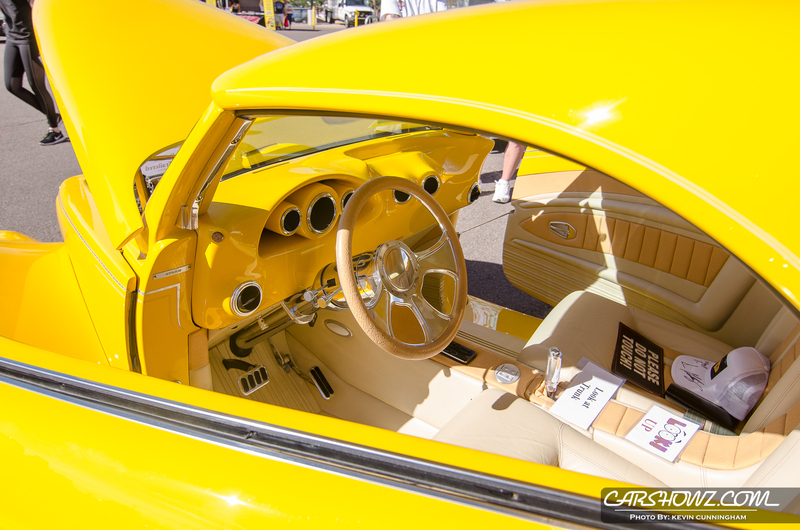 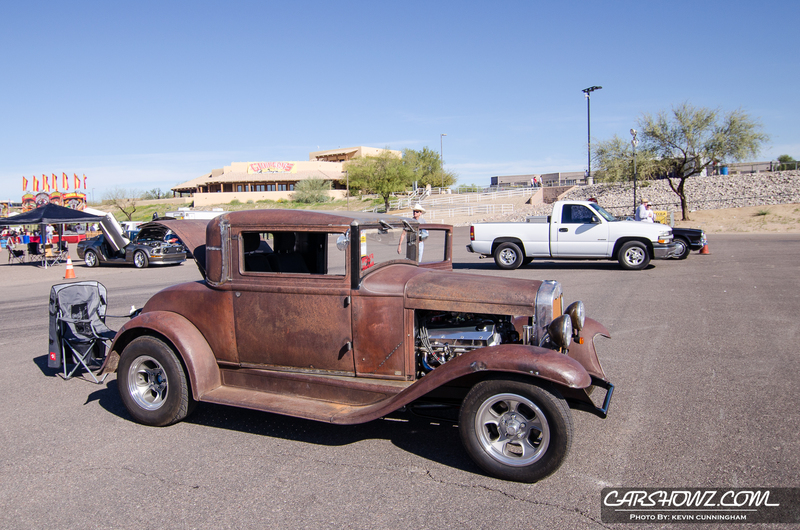 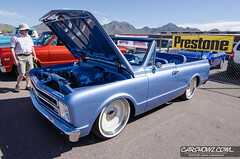 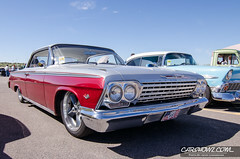 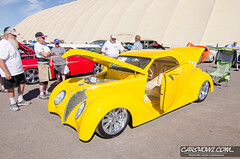 Goodguys 8th Spring Nationals hosted in Scottsdale, Arizona from March 10-12 is packing in a variety of custom vehicles. 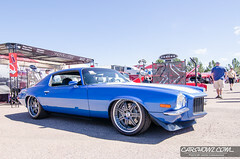 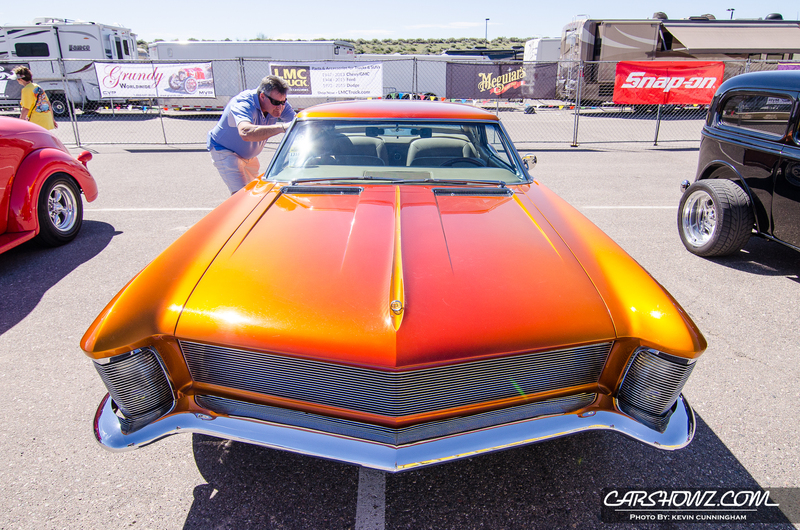 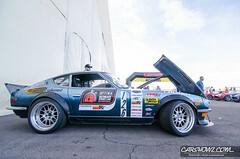 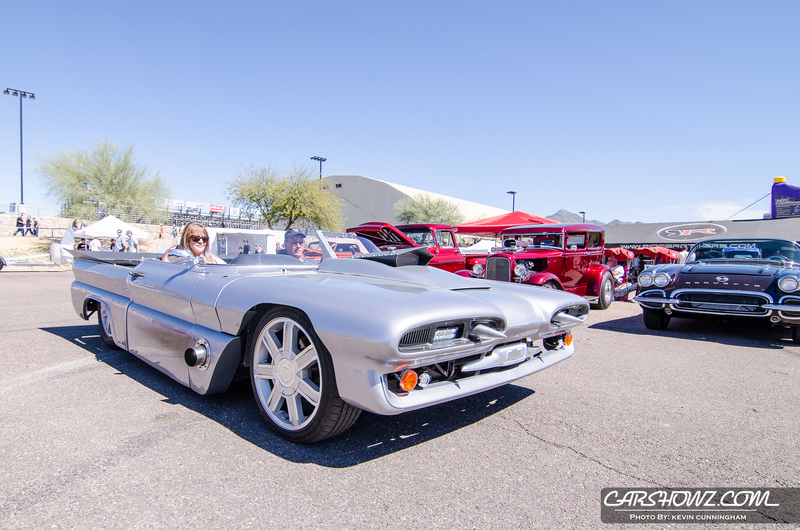 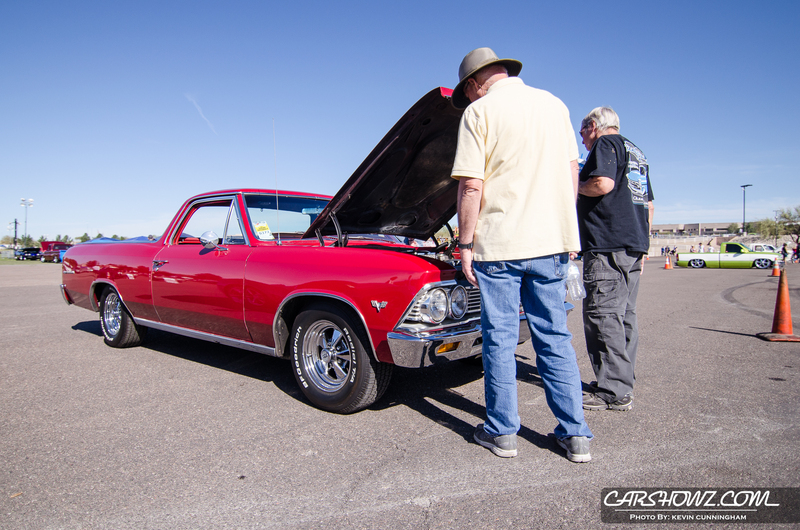 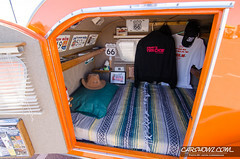 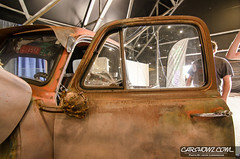 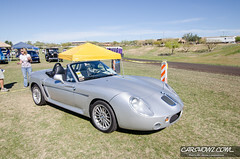 Kevin Cunningham from CarShowz made the trip our to sunny Scottsdale and is covering the event this weekend. 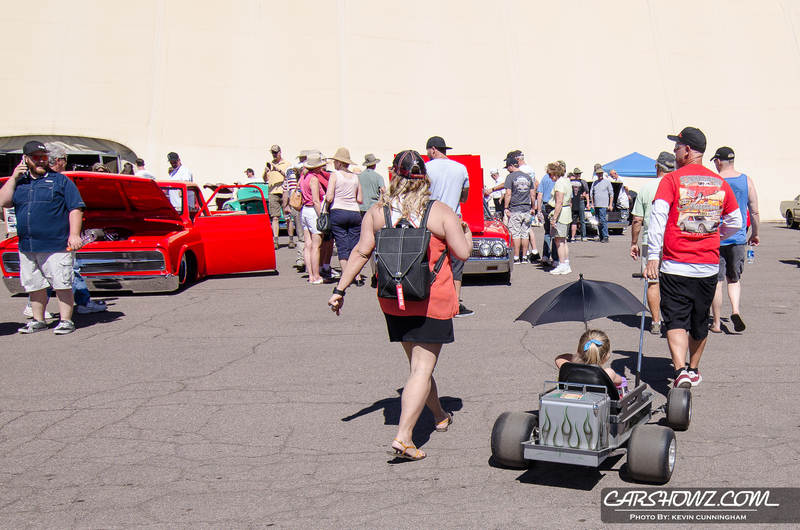 Kids Zone – Free Arts and crafts, games, prizes & more! Kids Free Revell Model Car Make-N-Take – Get your kids involved in model building. 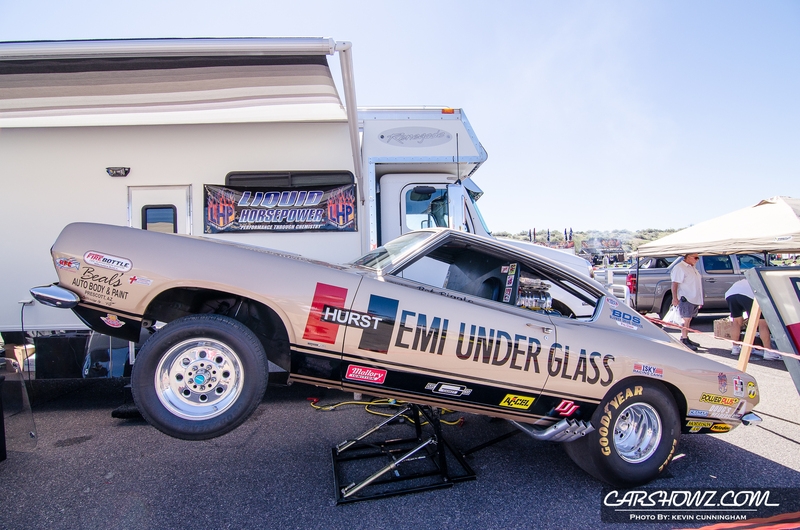 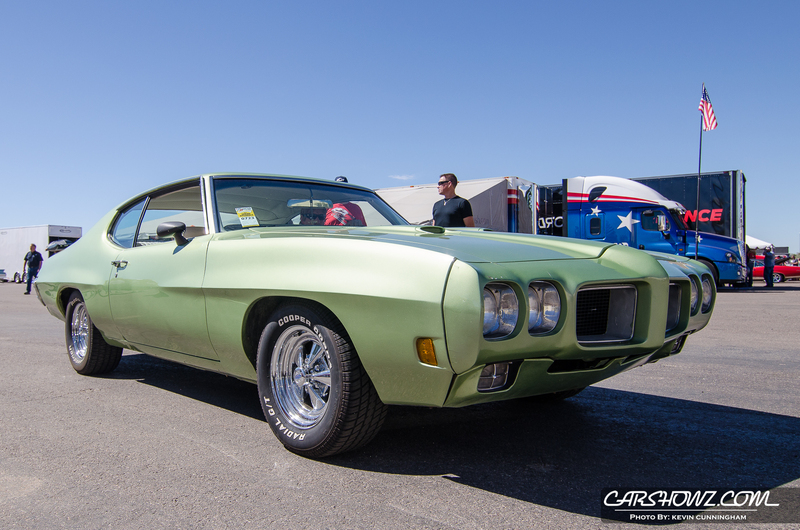 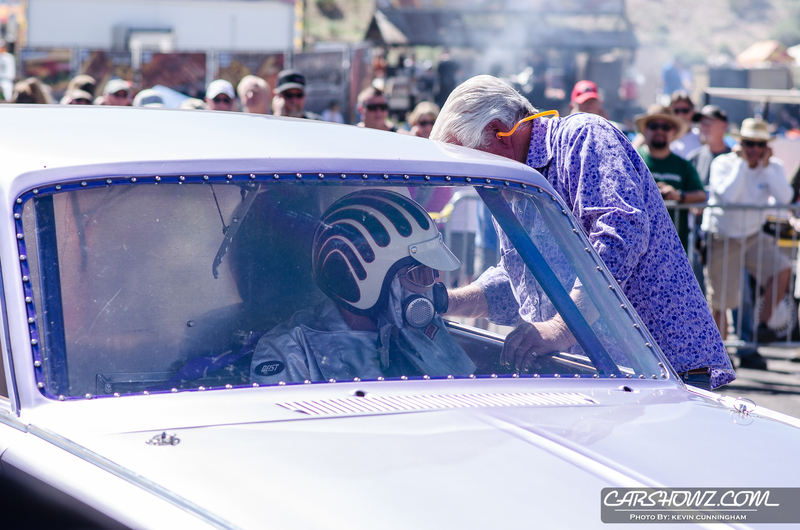 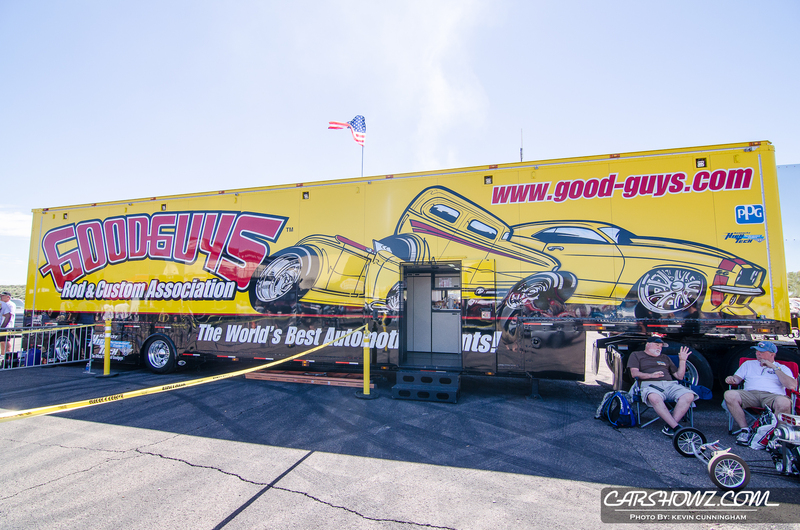 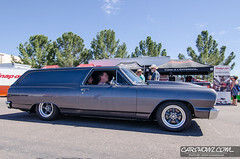 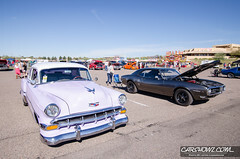 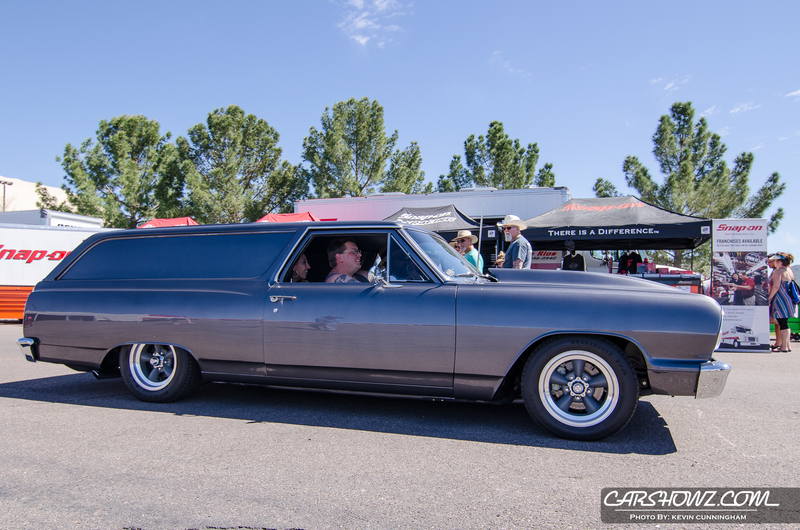 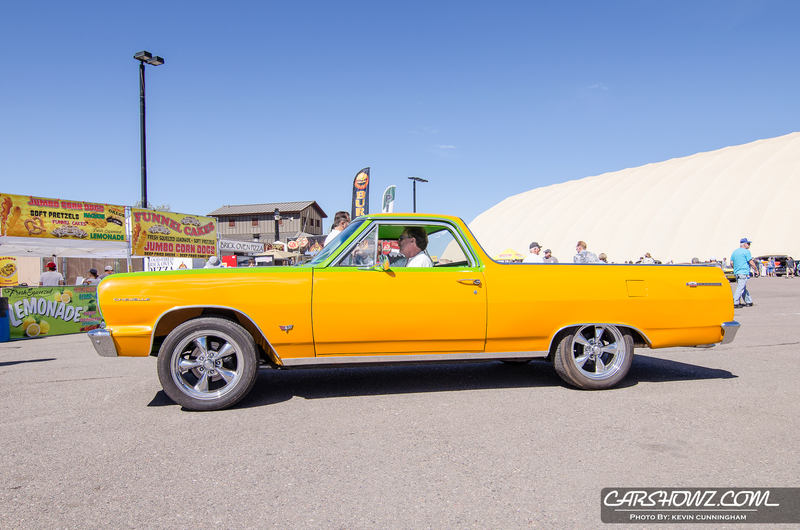 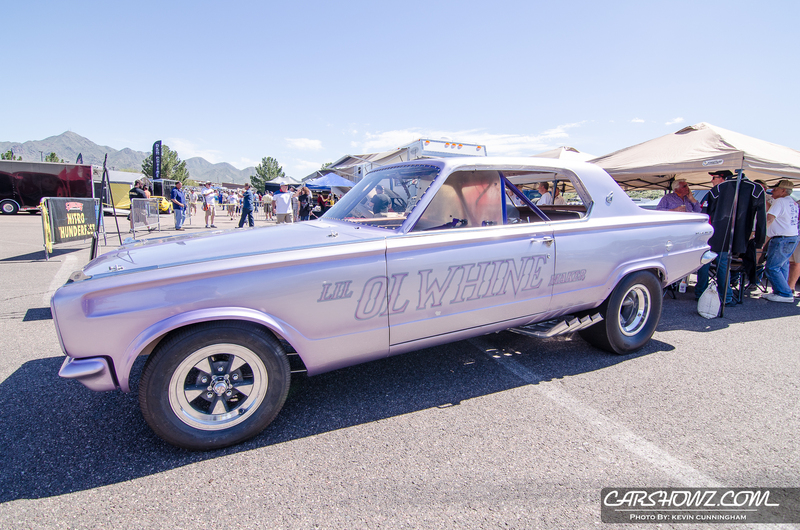 The Goodguys brand not only hosts premium car and truck shows, they have also incorporated Autocross into their events for added entertainment and to beef up the competition. 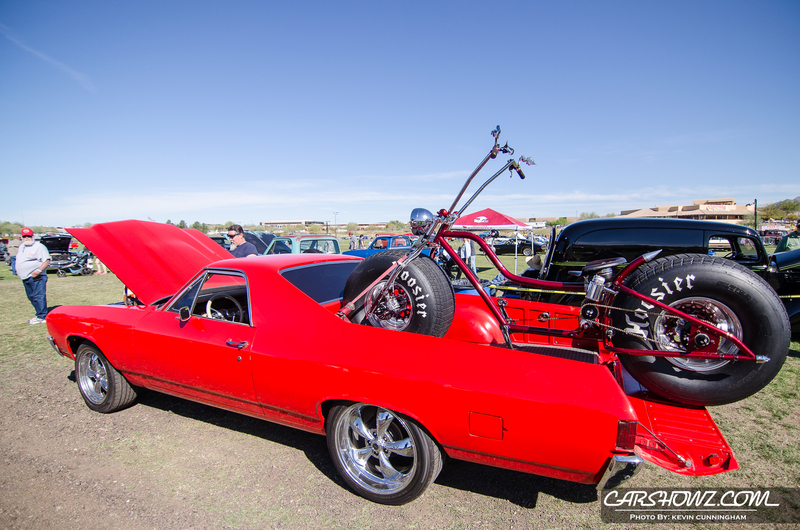 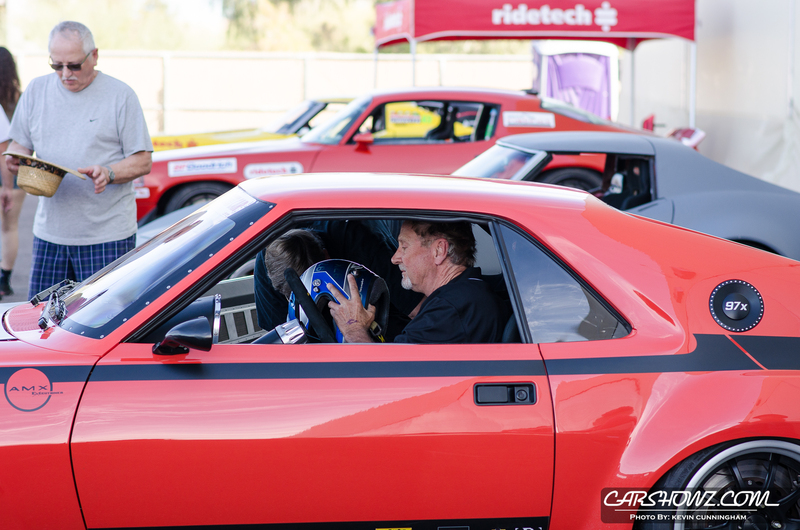 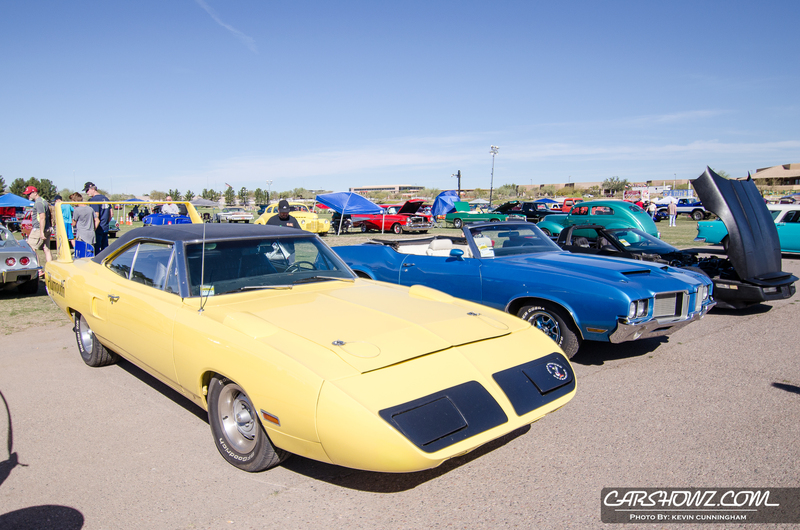 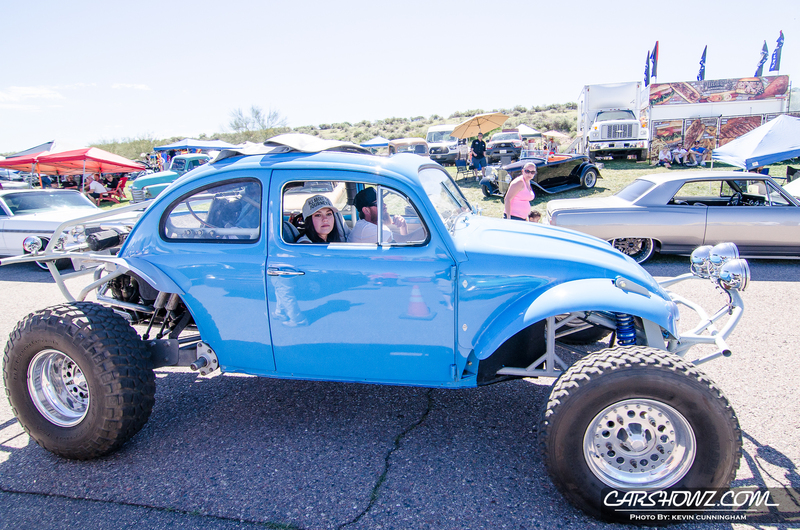 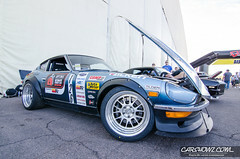 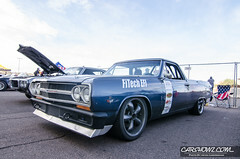 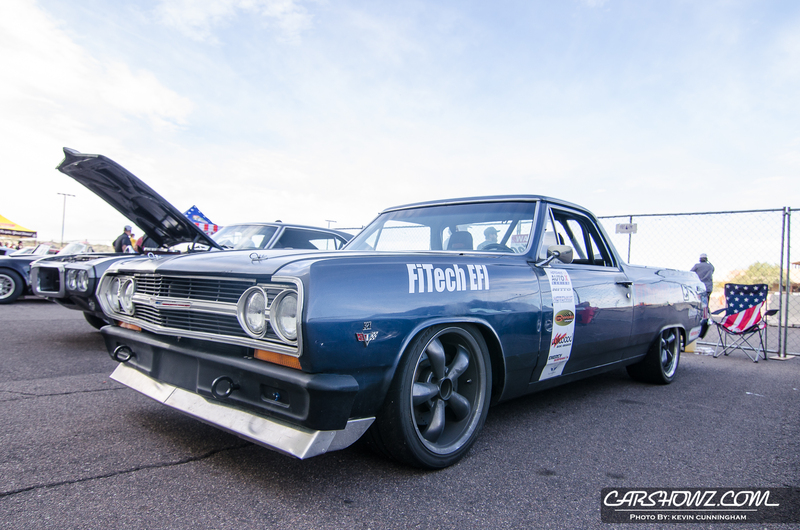 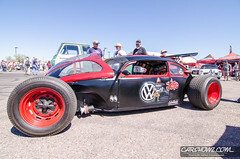 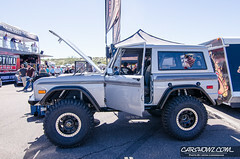 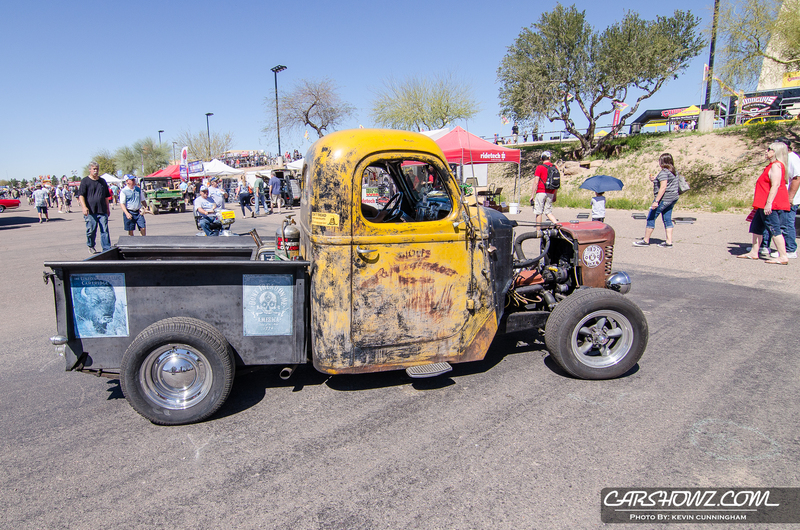 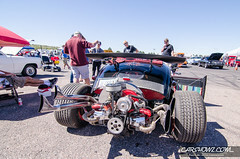 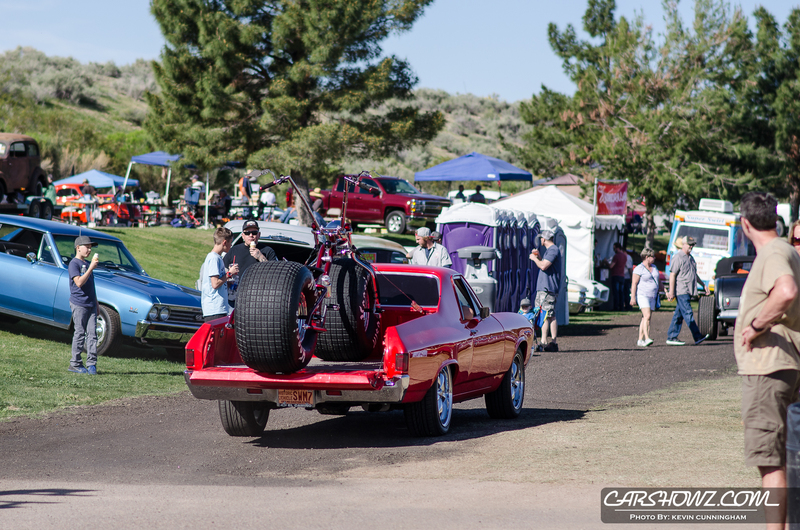 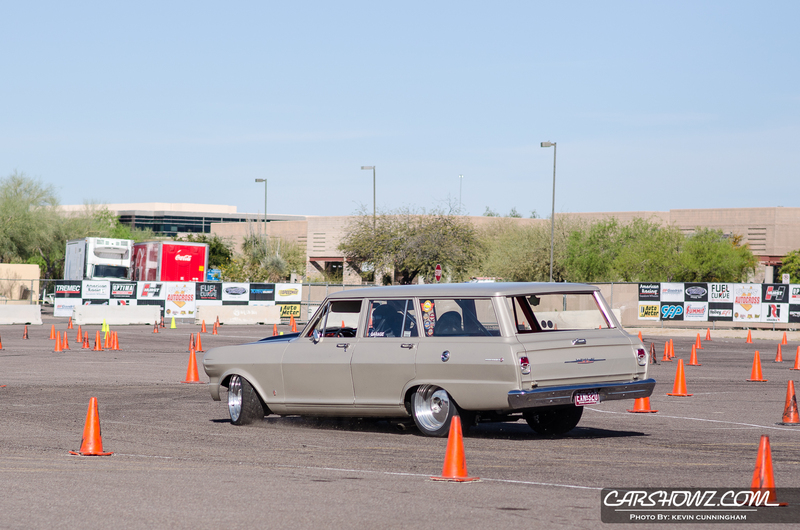 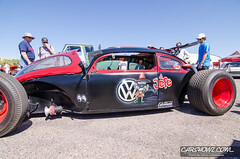 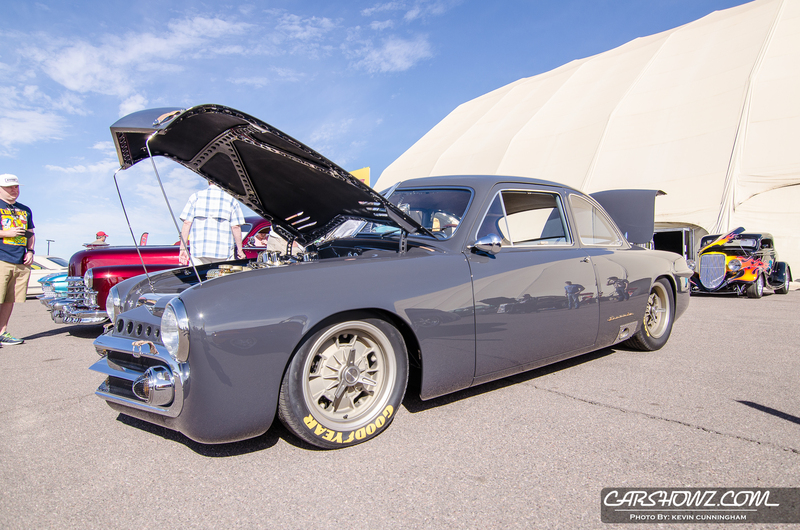 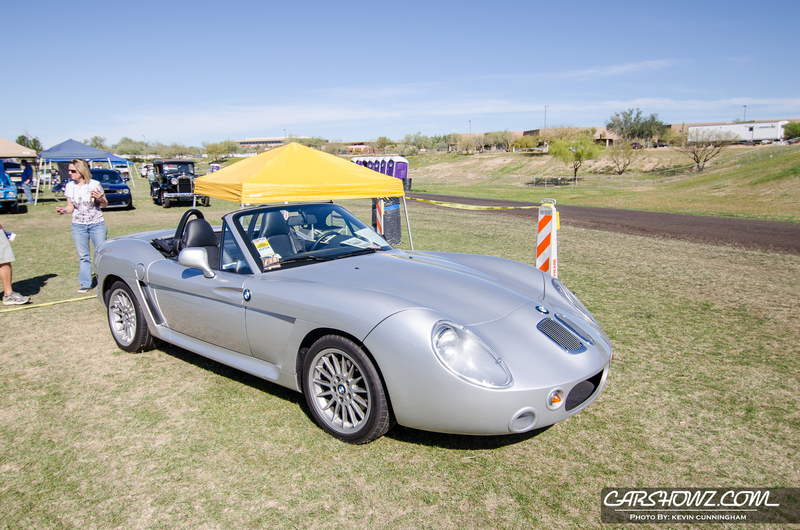 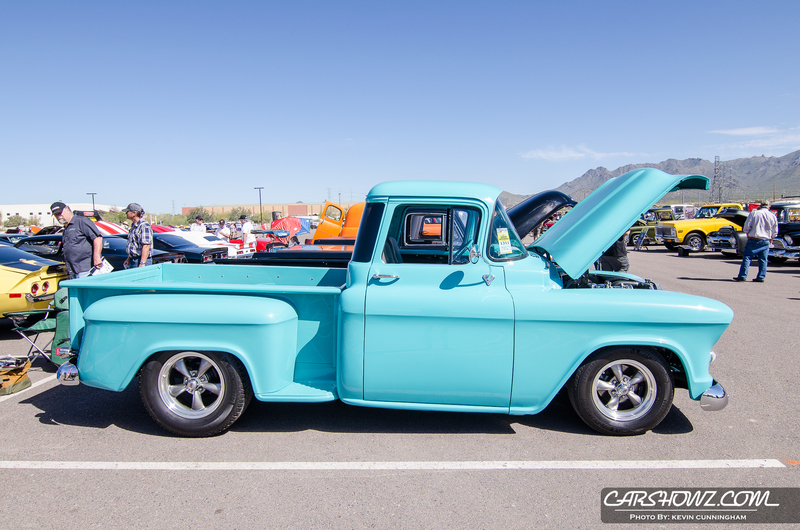 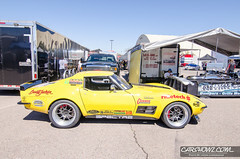 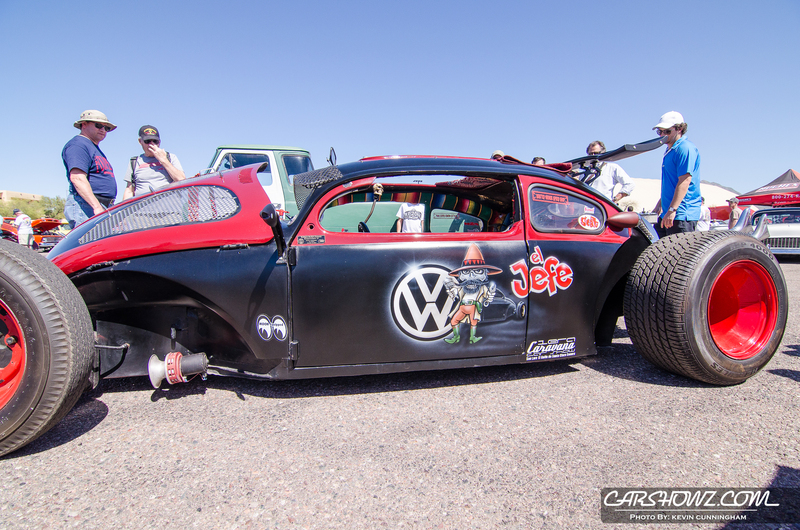 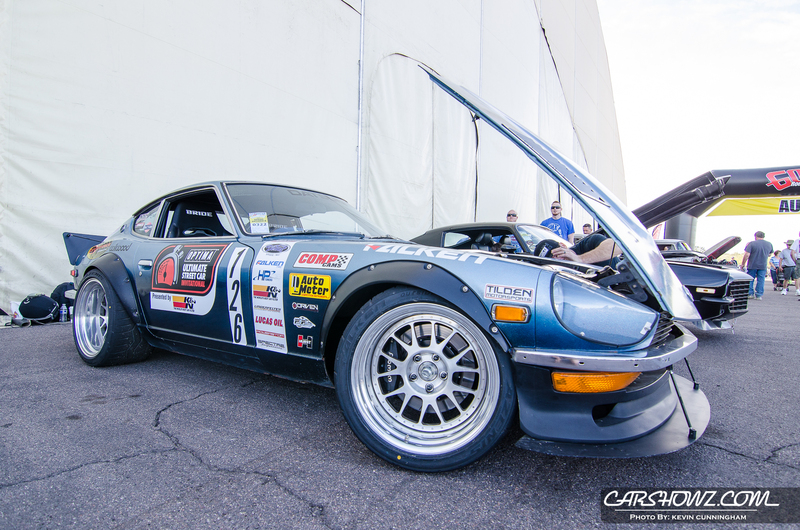 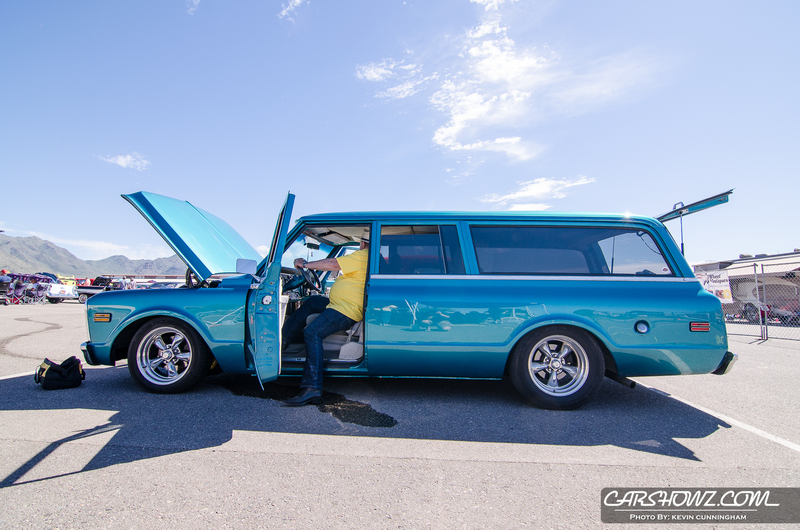 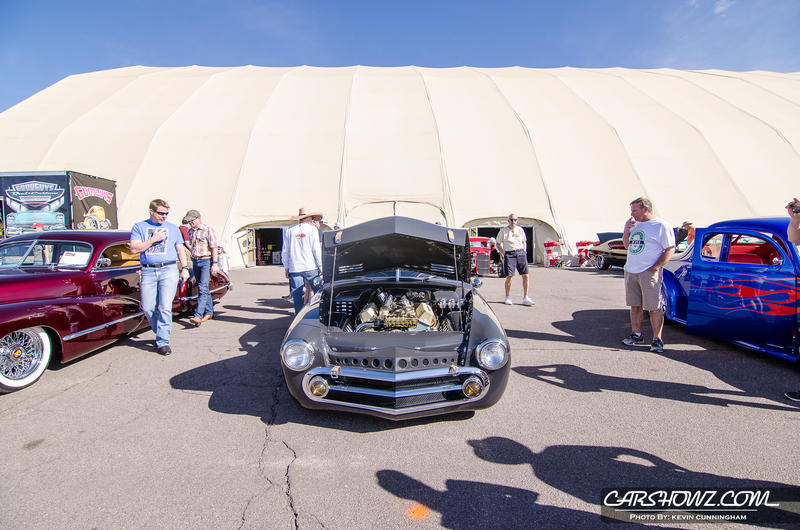 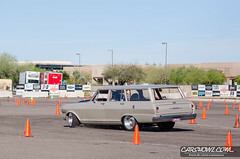 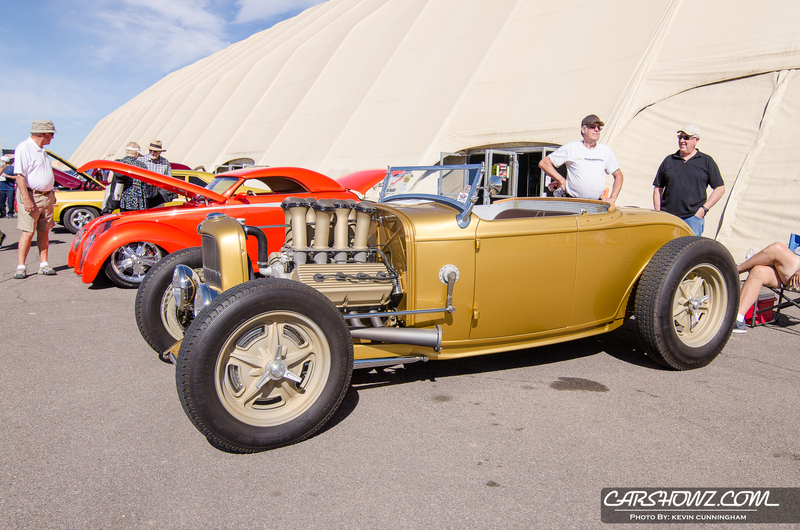 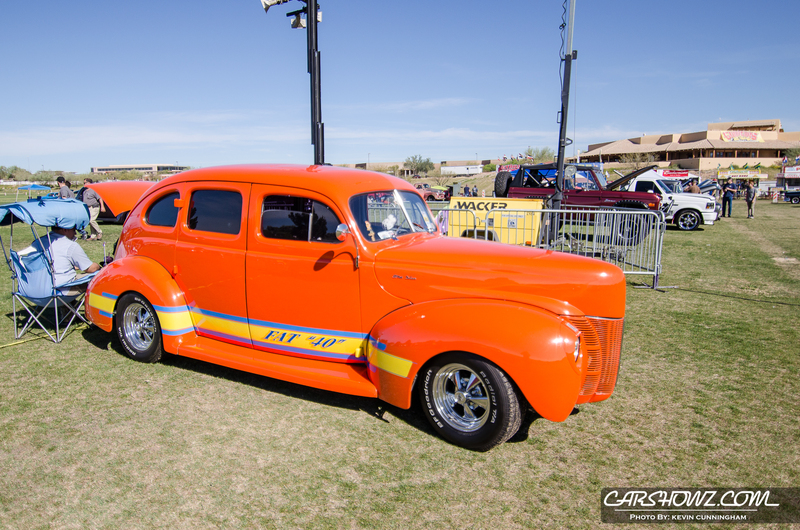 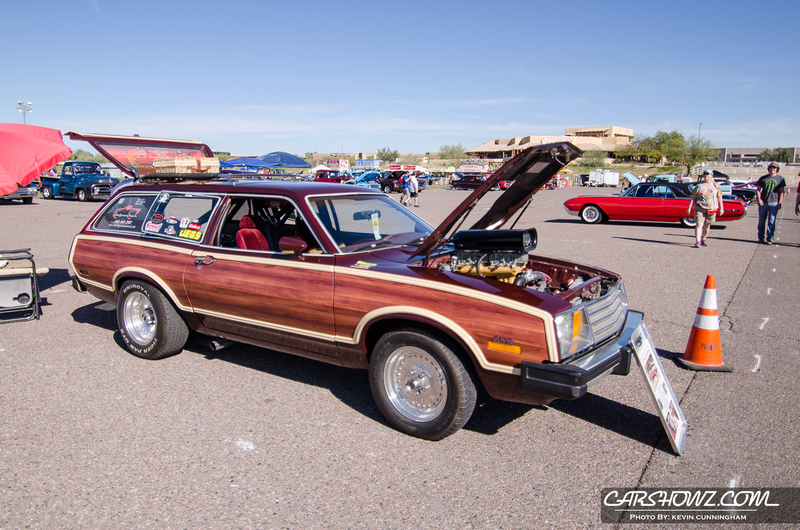 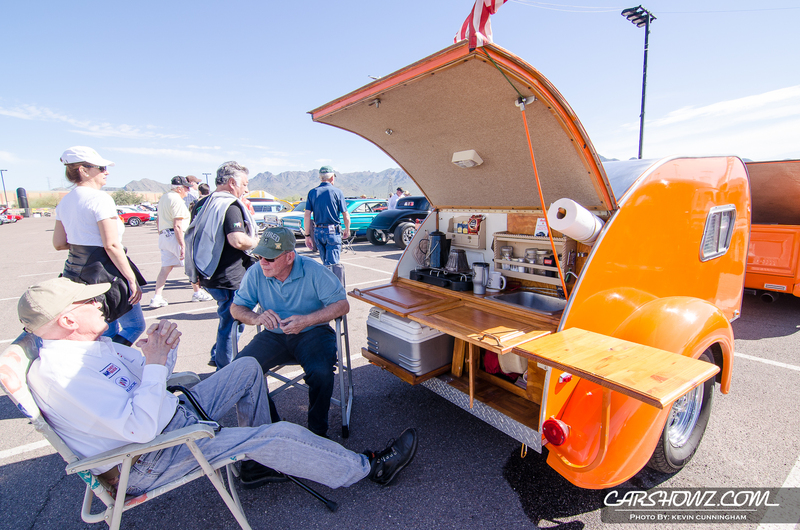 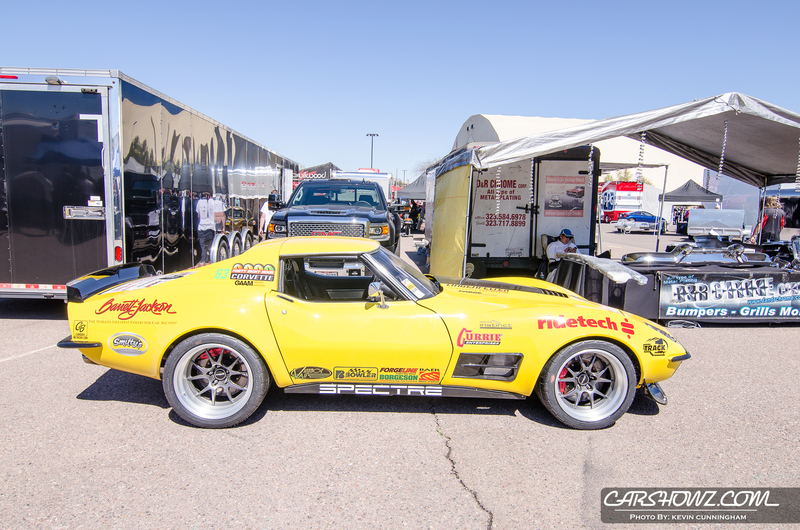 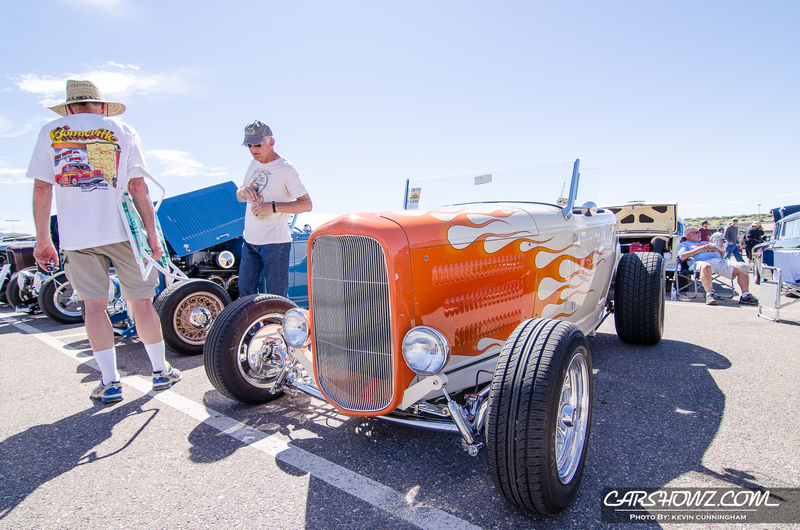 Via Good-guys.com: AutoCross has become a staple at many Goodguys events, including the 8th Spring Nationals here in Scottsdale. While many racers take to the track on Friday, Saturday is when the real gear smashing, high rpm, car sliding action happens. Once the green flag dropped, close to 50 lead-footed drivers took to the course, steering their machines through the cone maze while a full grandstand of spectators cheered them on throughout the afternoon. 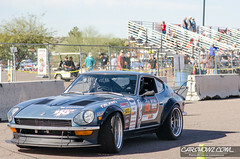 It was a great day of racing as four of the five classes crowned event champions by day’s end. 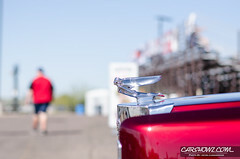 Tomorrow is all about K & N Filters ALL American Sunday. 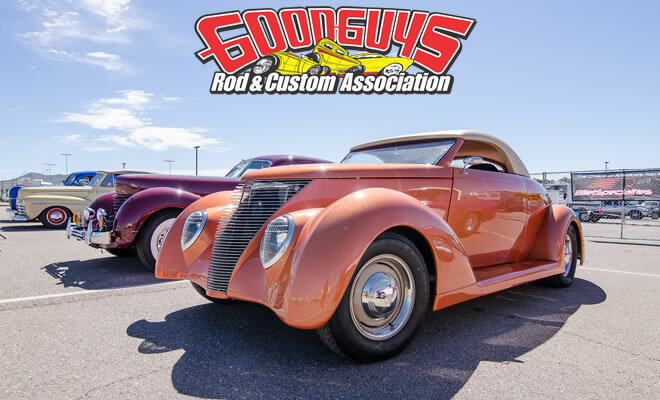 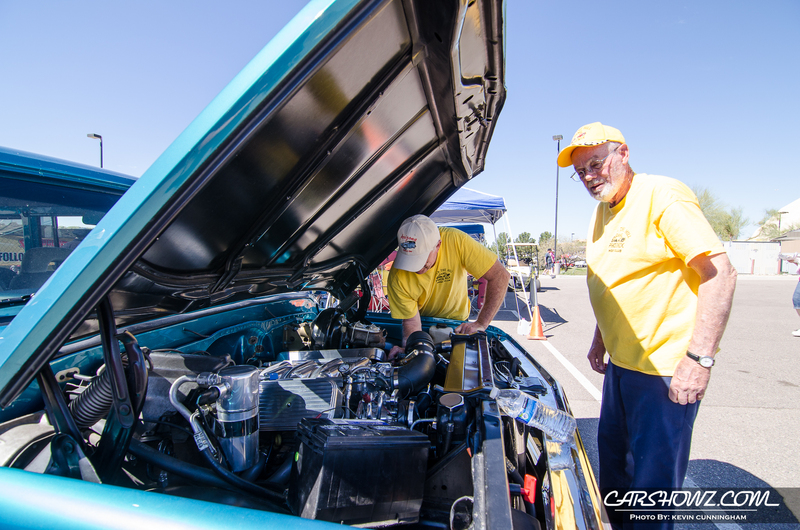 It’s a great opportunity for late model owners to enjoy the show & shine or put your driving skills to the test on the Goodguys AutoCross course. 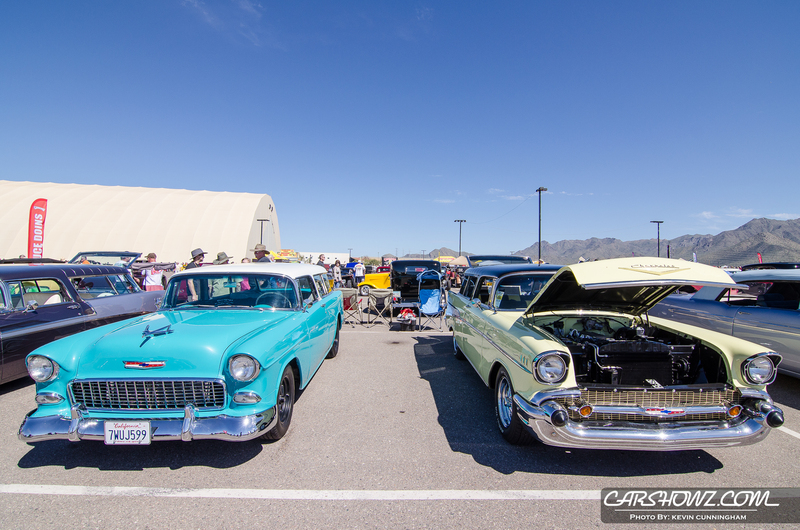 All American vehicles and American powered cars are welcome. 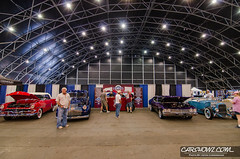 Registration opens at 7am. 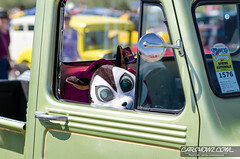 See you bright and early! 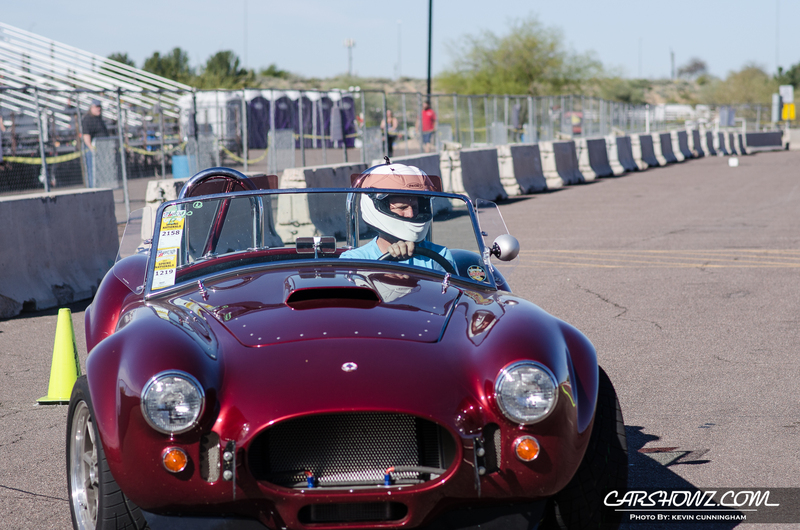 See the champions along with our complete AutoCross gallery below. 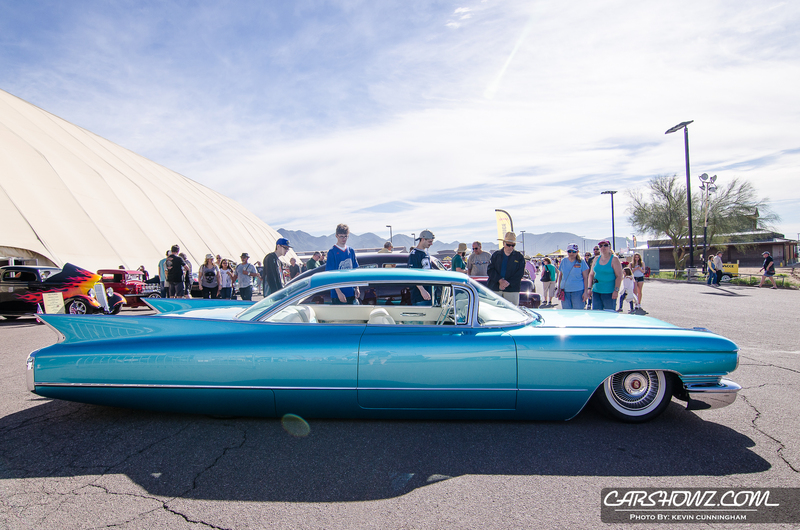 When I went to my first Goodguys event last Fall it took me a long time to really grasp just how big the event really was. 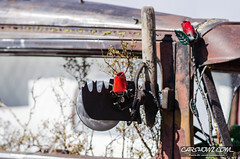 I walked one way and then decided I wanted to start somewhere else. 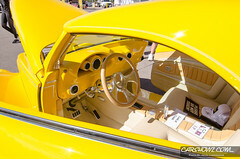 I felt like I was spinning in circles. 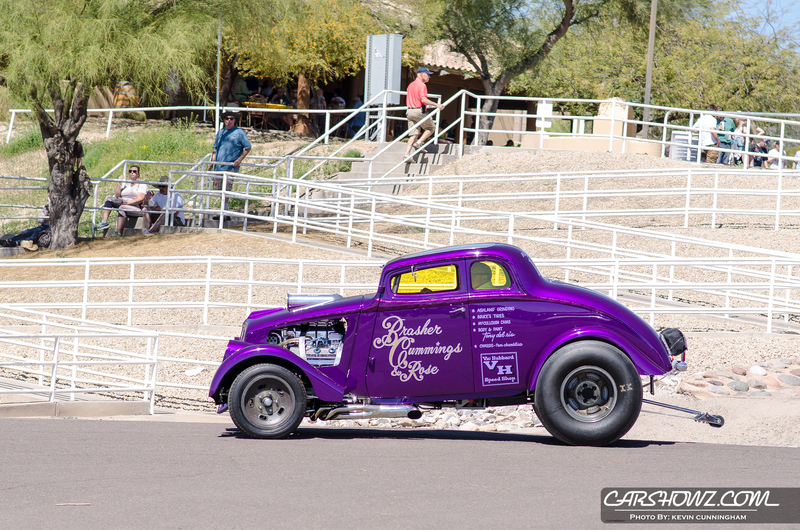 When I found out they were bringing Spring Nationals back to WestWorld of Scottsdale I decided I was going to go in with a plan. When I was at their Southwest Nationals I started with the massive grass section and eventually made my way to the highlighted builds. 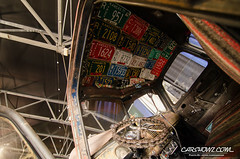 Unfortunately, that gave me less time to spend covering those and I’m sure I missed most of them. 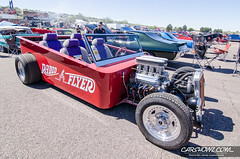 For Spring Nationals, I wanted to start with the high-end builds and work my way down to the grass. 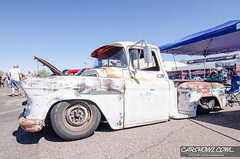 Well, I ended up in the same predicament as last time, just reversed. In my infinite wisdom, I called it quits on Saturday in the middle of the afternoon. The sun was shining down, it was over 90 degrees, and the crowds seemed to be never-ending. 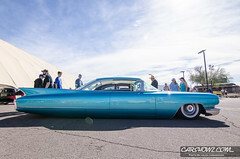 So, I left for the day figuring I could pick back up on Sunday morning. 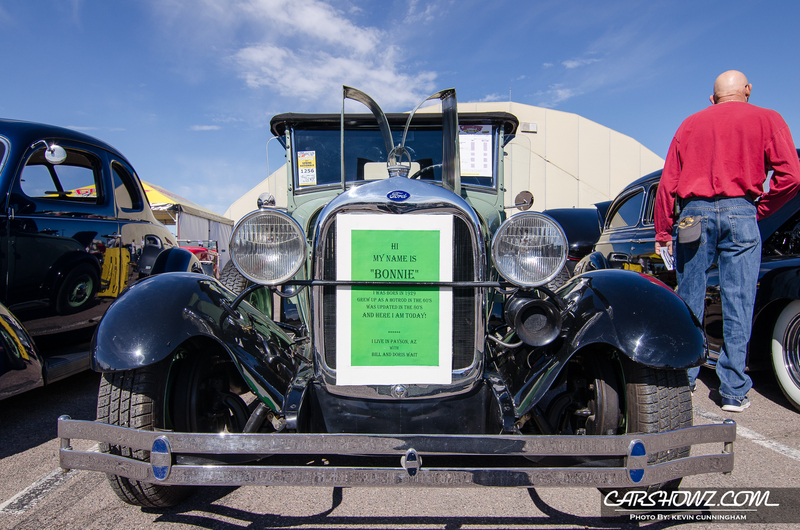 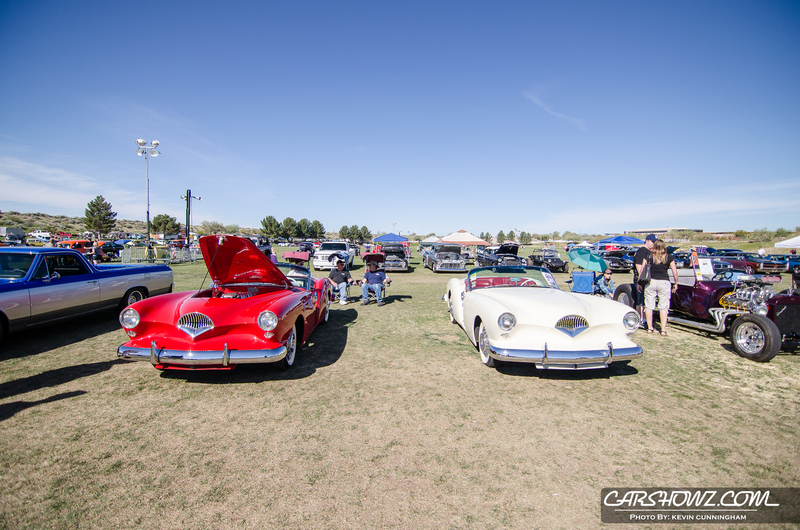 Unfortunately, most of the rides from the grassy area didn’t show up on Sunday. 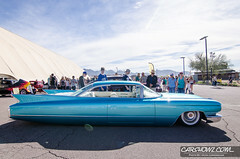 It was a huge let down and I’m disappointed with myself for missing out on almost half the show. Outside of my own mistakes, Spring Nationals was an amazing event! 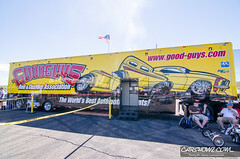 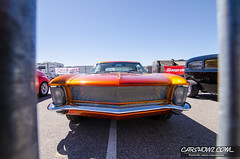 Goodguys arranged to have an area set up for AutoCross. That was extremely interesting to watch, especially since some of the racers were in unique vehicles. 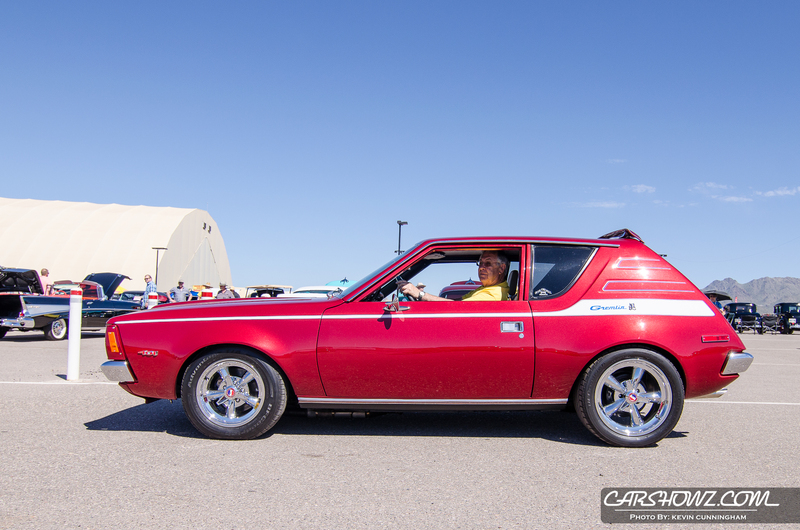 Of particular note was Bob Gawlik in the 1968 AMC AMX, Mike Sullivan in the 1965 El Camino, and Bill Kinsman in the 1972 Ford Bronco. 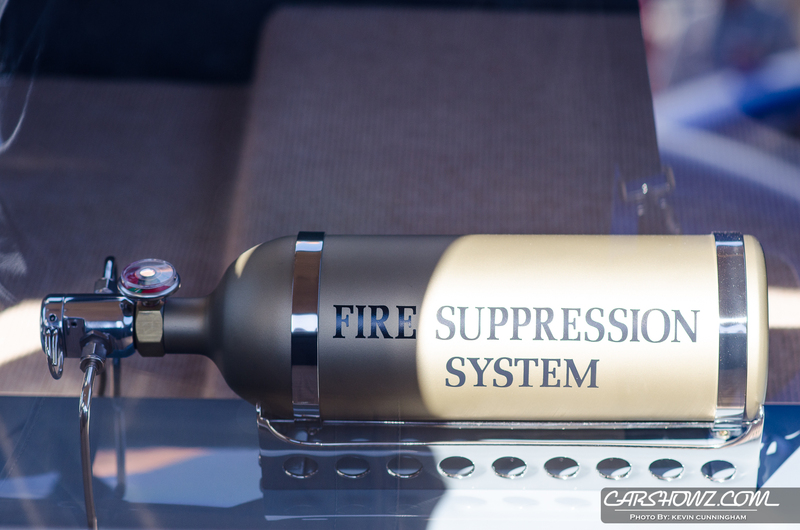 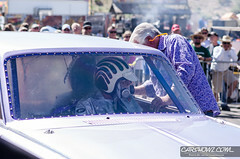 On Sunday morning my favorites was Coy Scott tearing it up in the CTS-V. 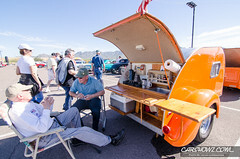 Vendors were in no short supply at the event. 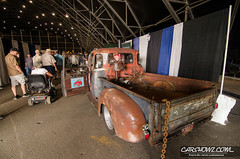 The entrance “tent” into WestWorld was packed with any type of vendor you could think of. 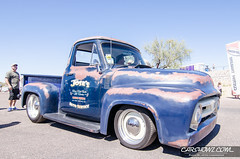 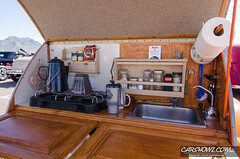 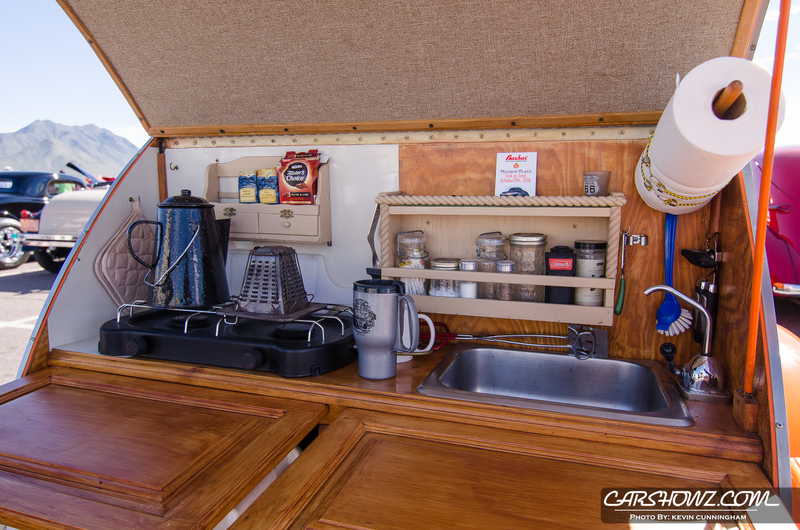 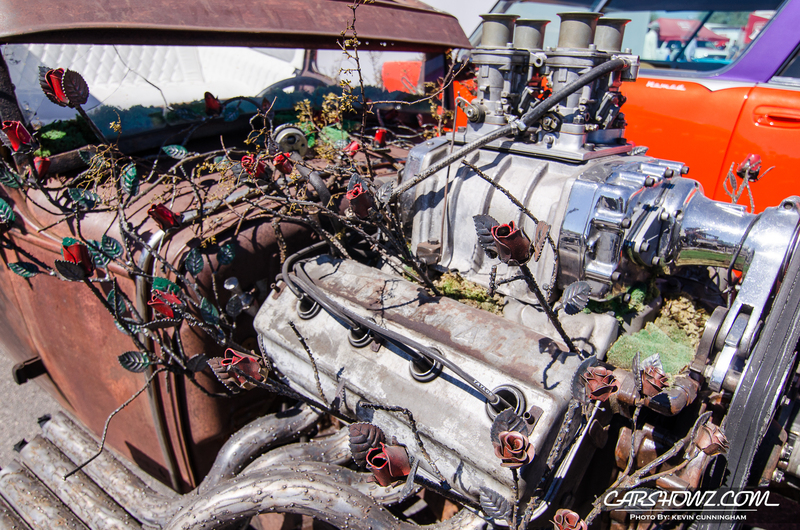 From auto repair and tuning all the way to organic food vendors. 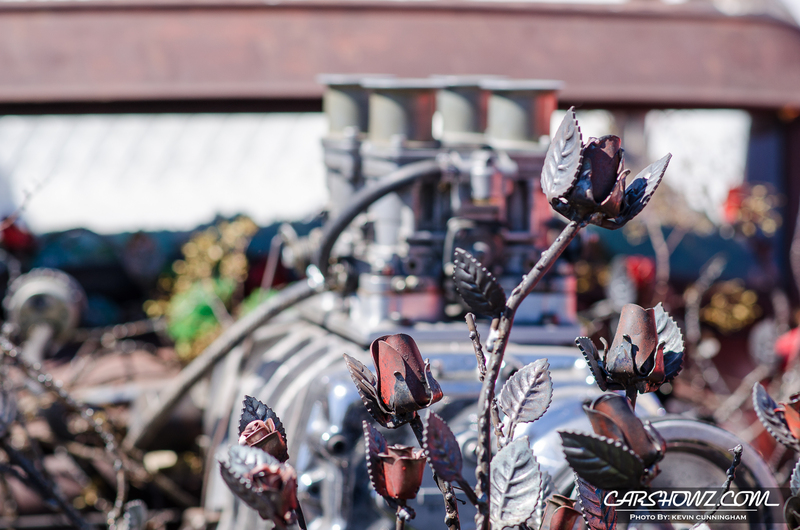 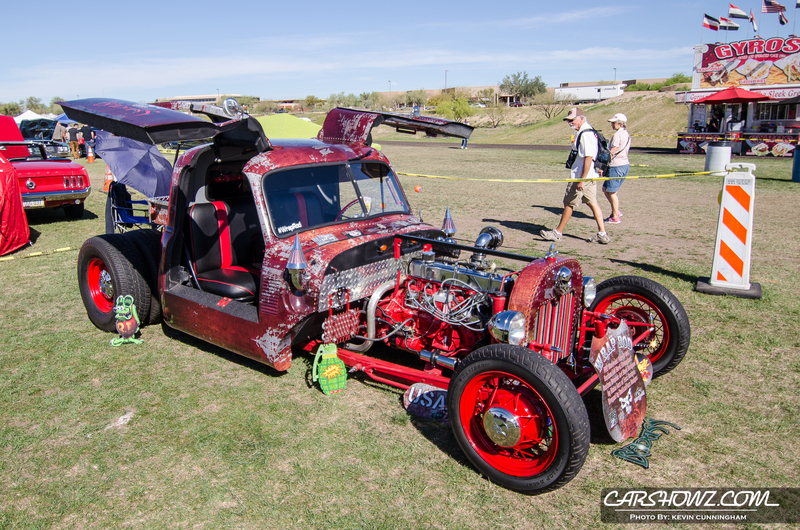 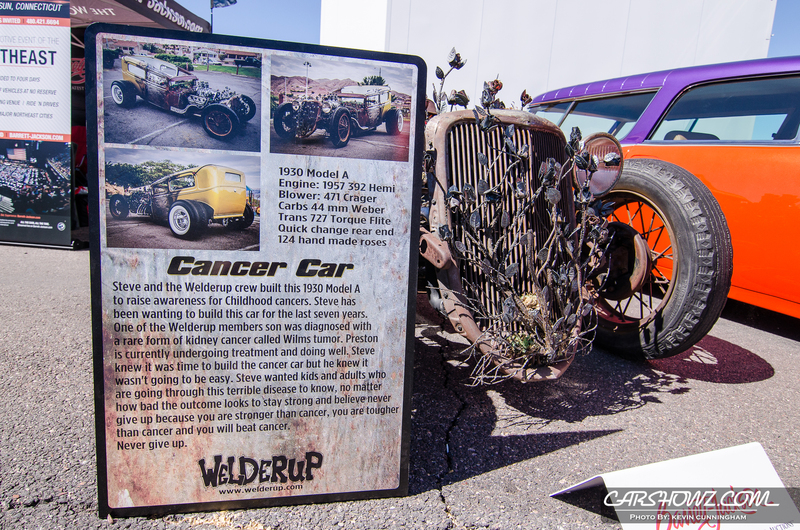 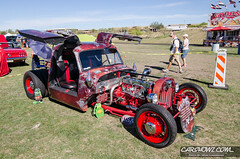 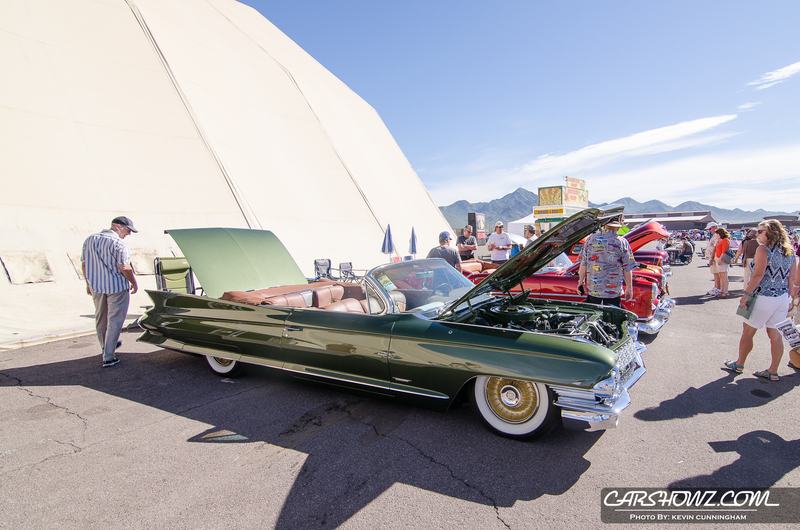 The outdoor vendor area was filled with performance and styling vendors who showcased fantastic builds. 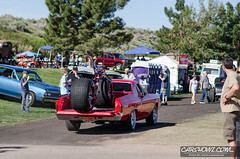 The Nitro Thunderfest Dragster Exhibition was extremely popular with the spectators and it was pretty difficult to get a good position. 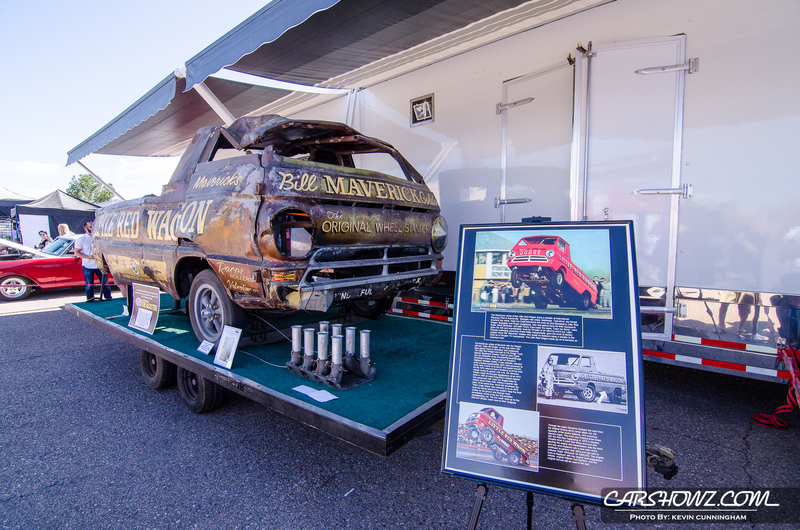 They turned the dragsters on one by one and let ‘em rip. 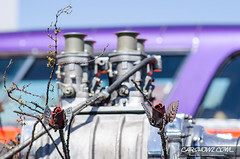 I probably should have been more concerned with protecting my hearing but I was too busy taking in the screaming engines. 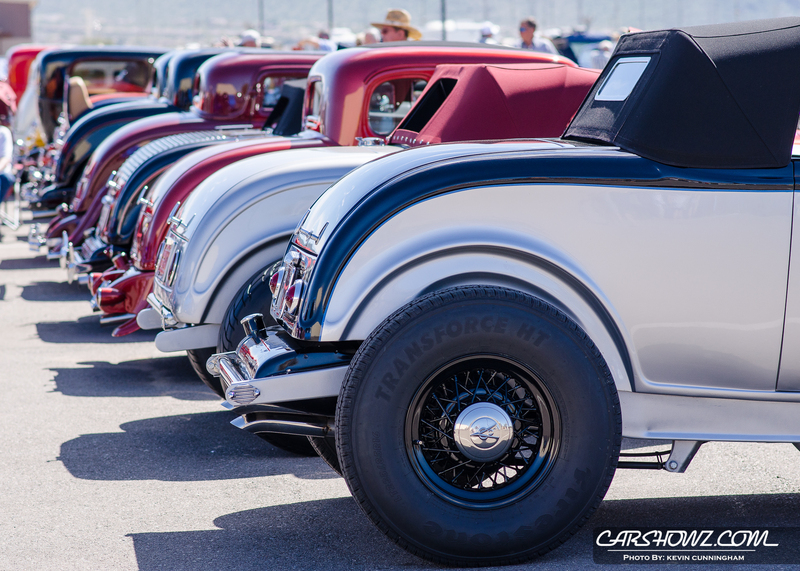 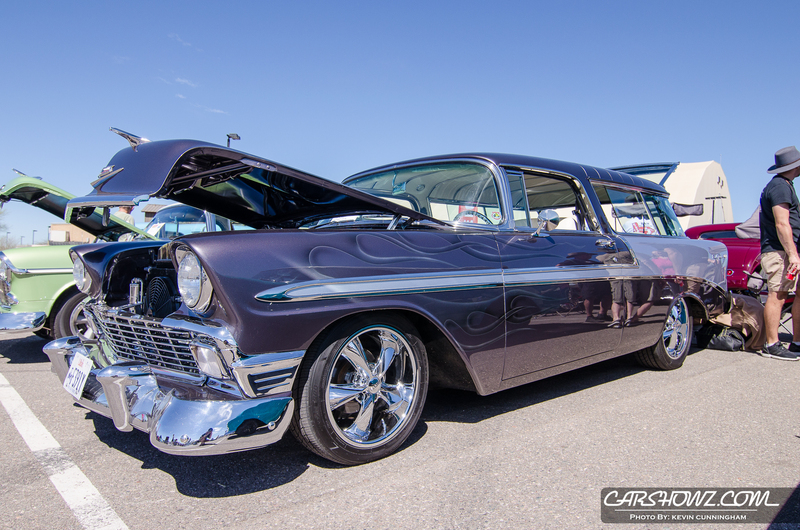 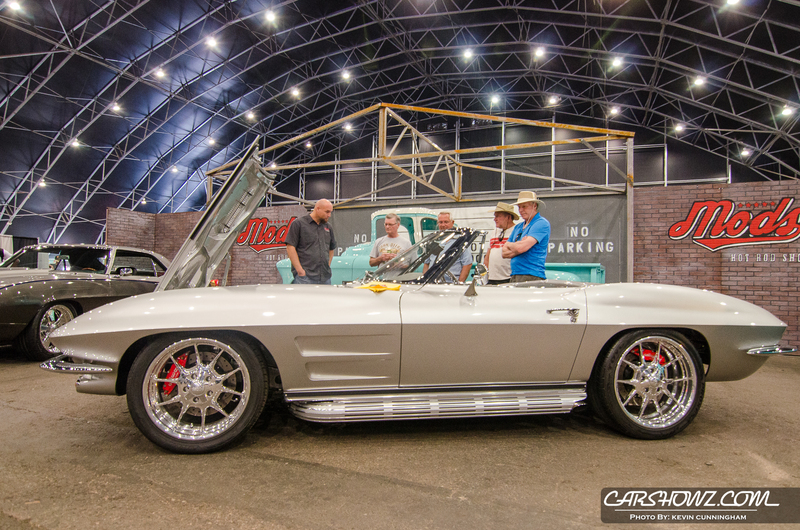 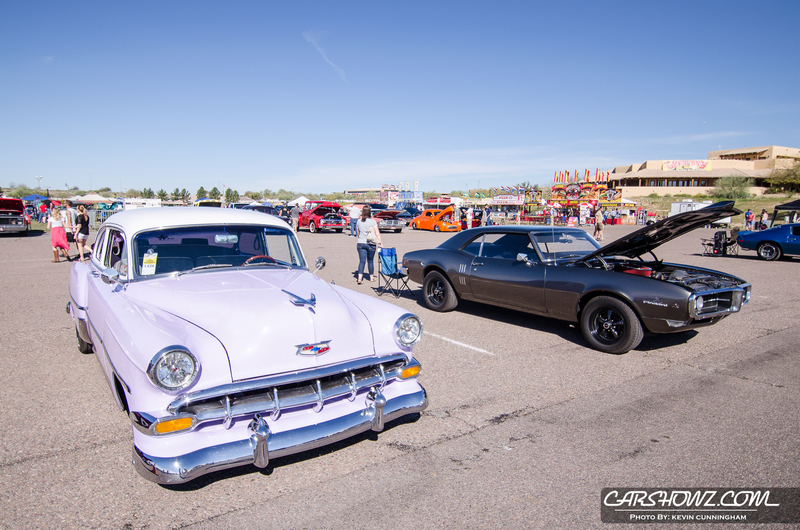 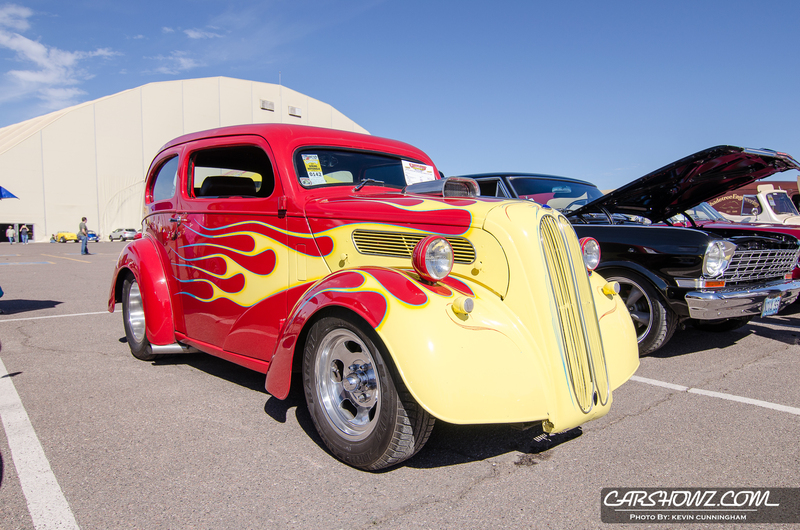 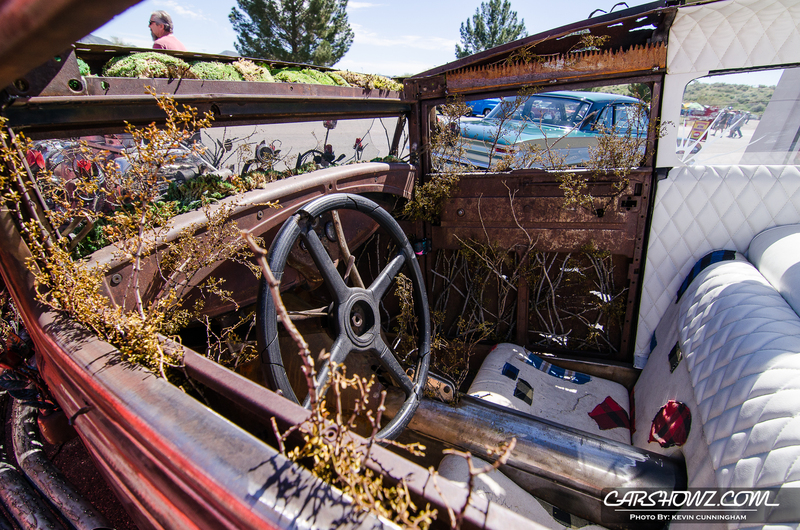 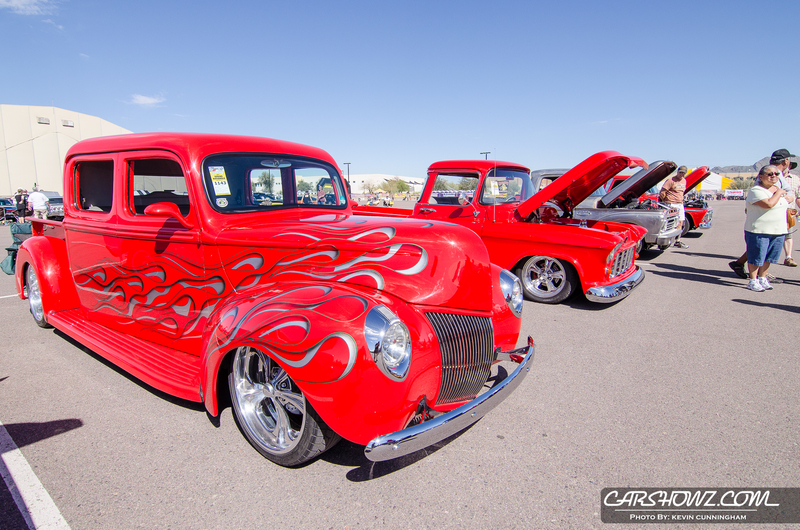 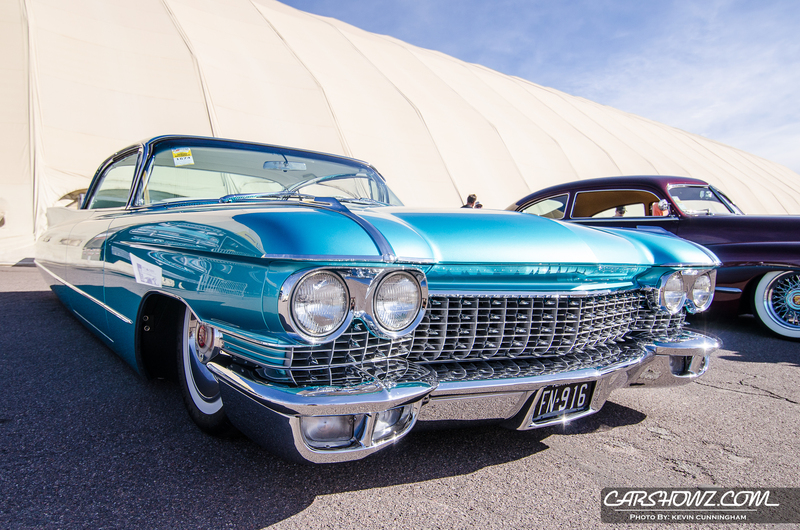 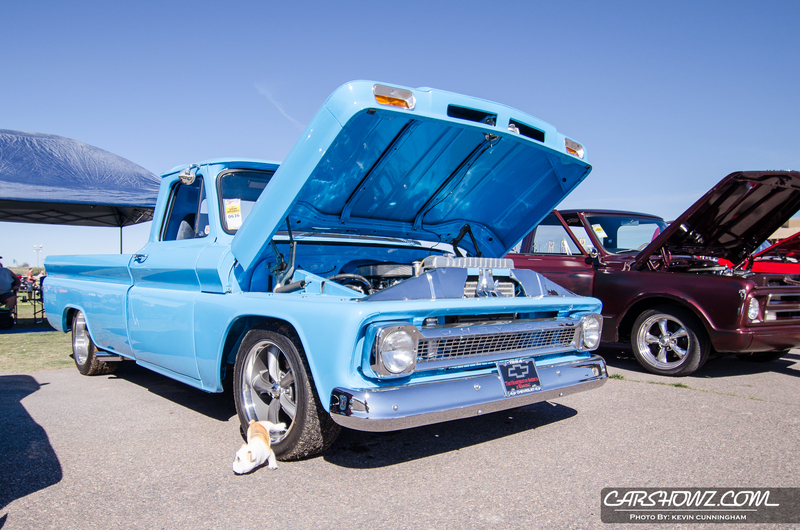 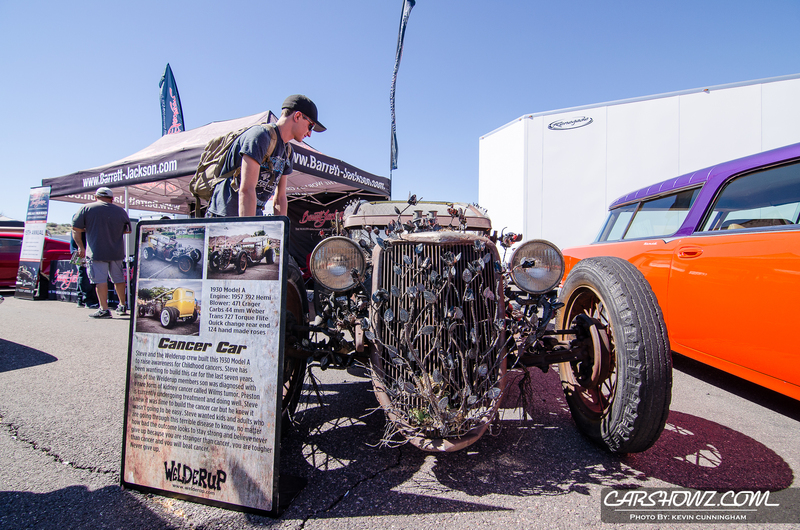 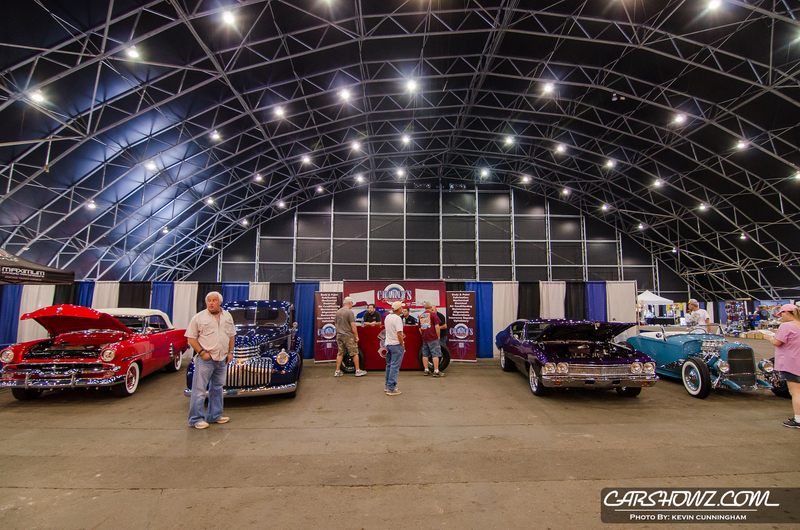 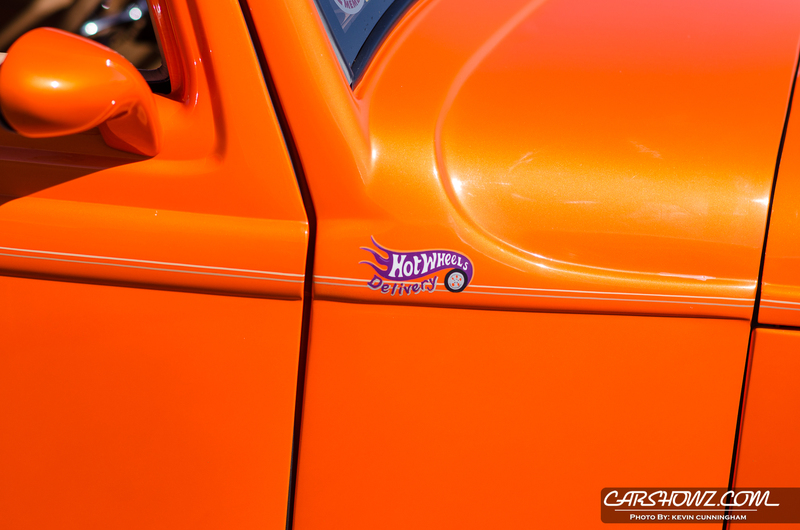 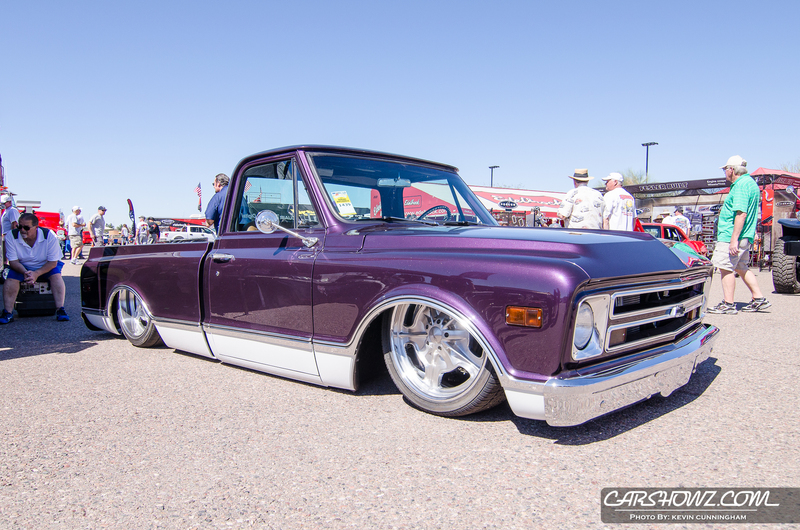 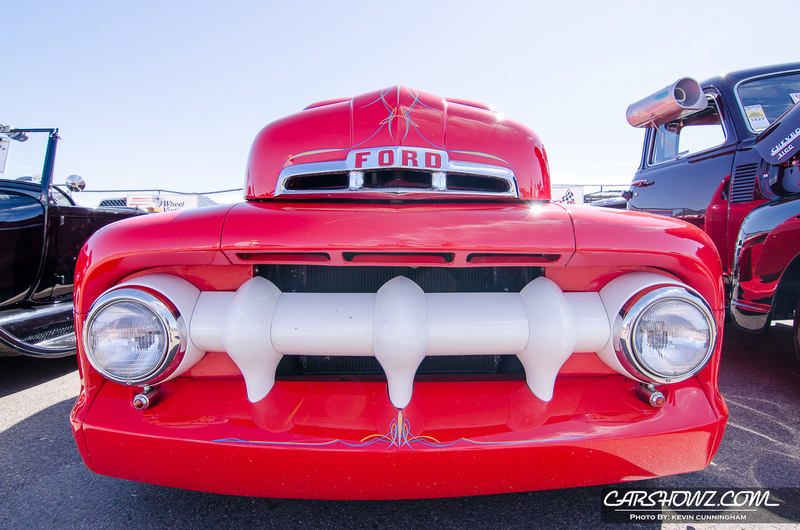 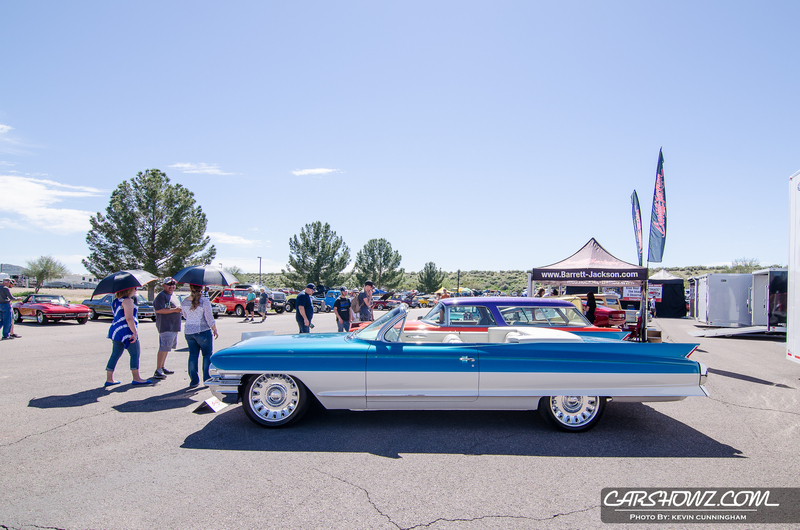 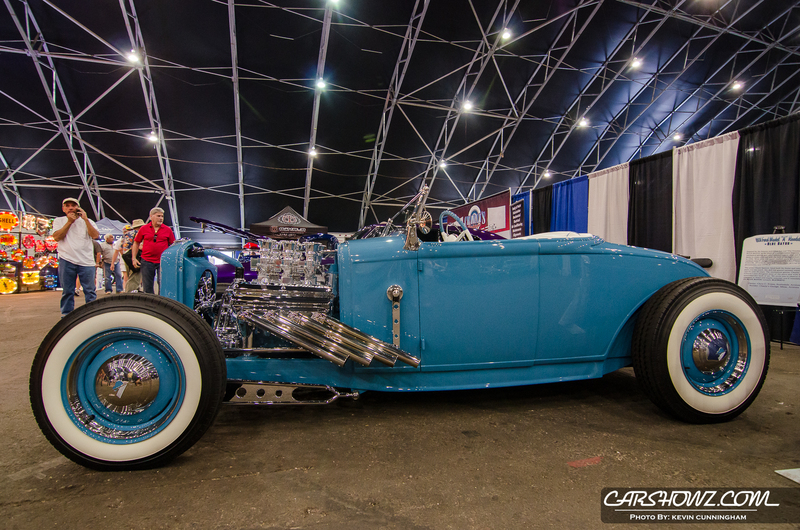 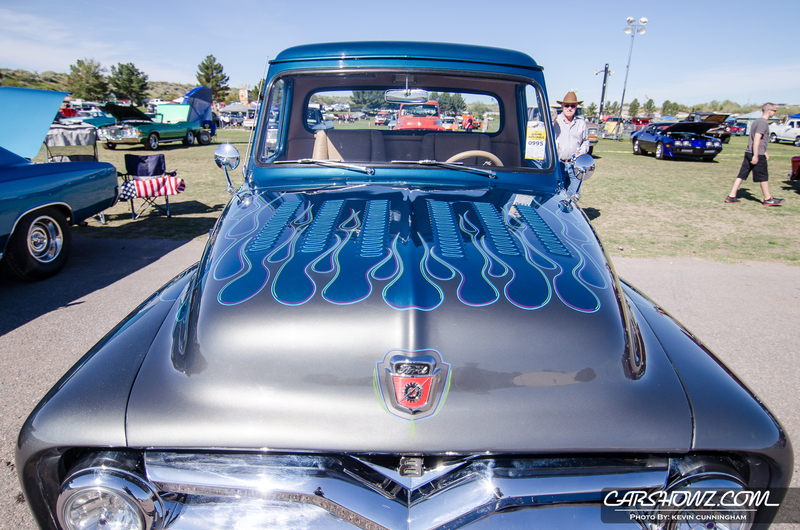 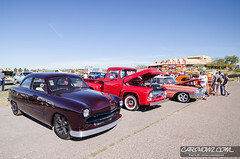 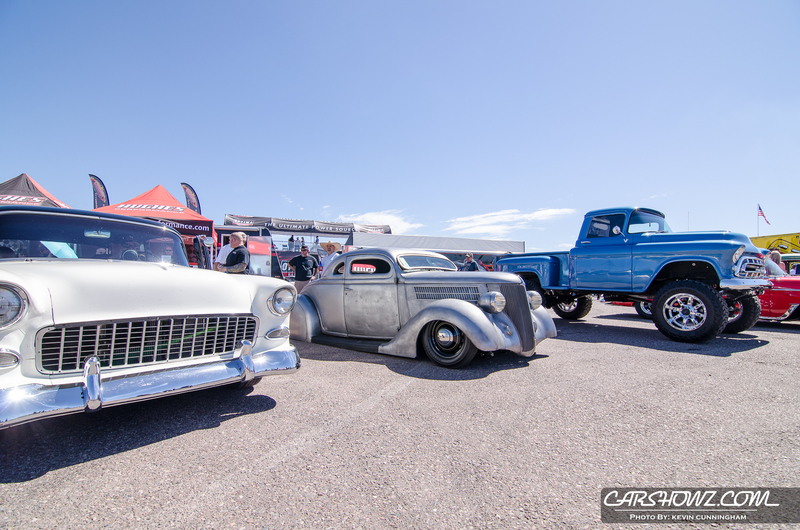 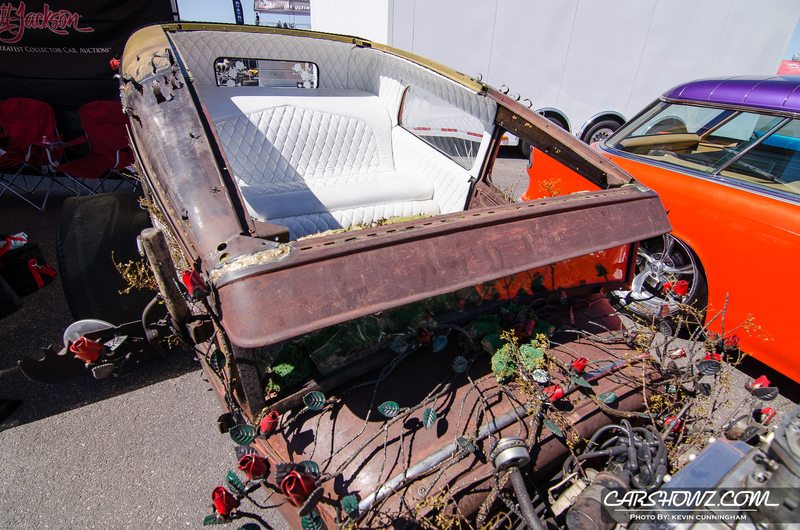 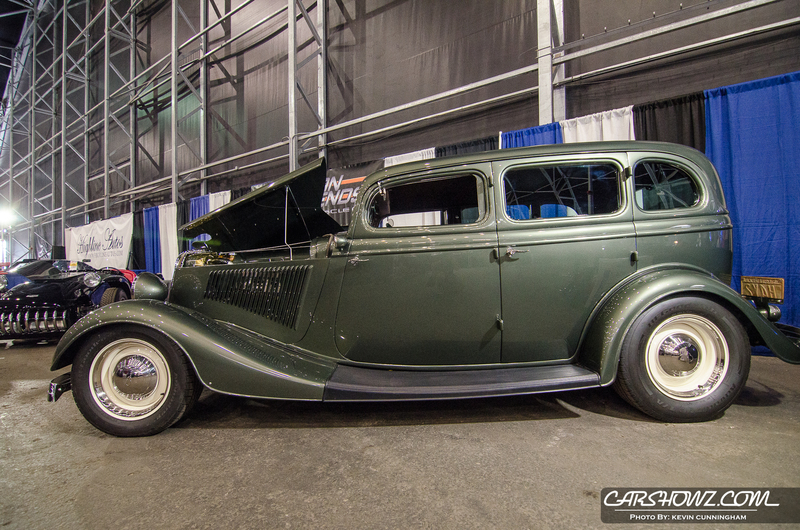 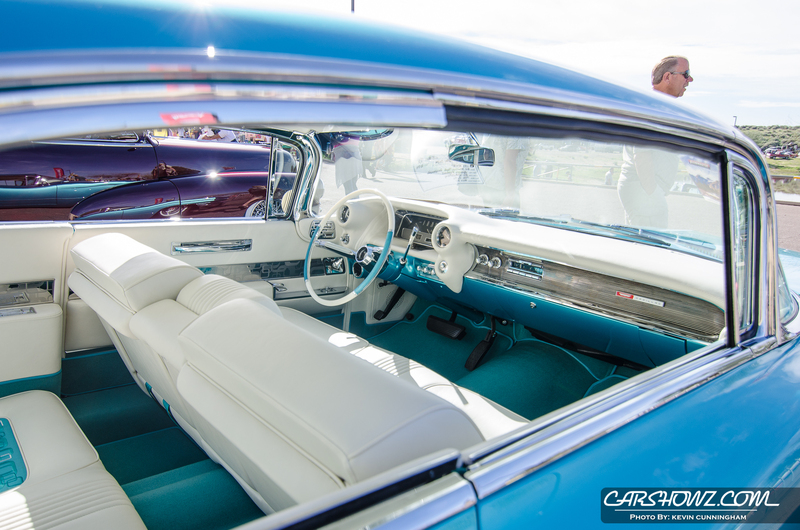 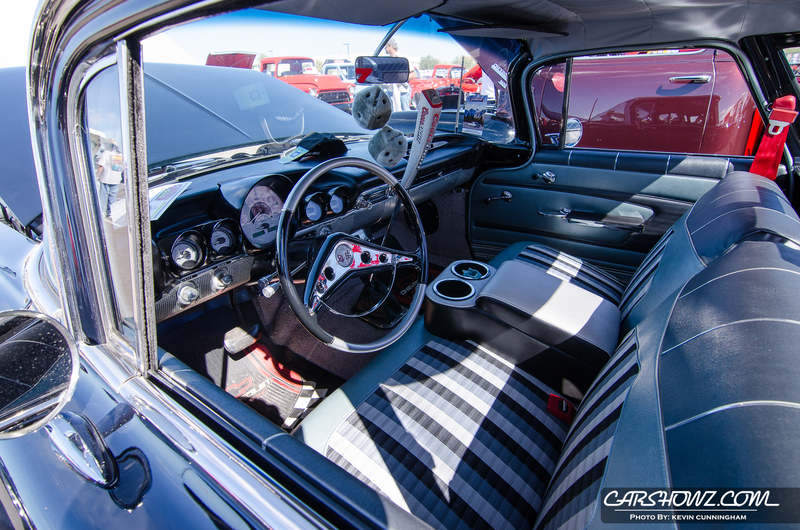 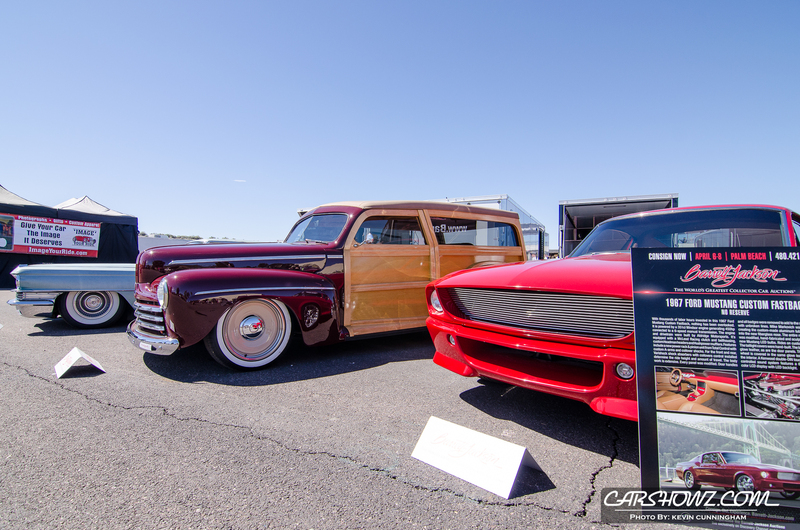 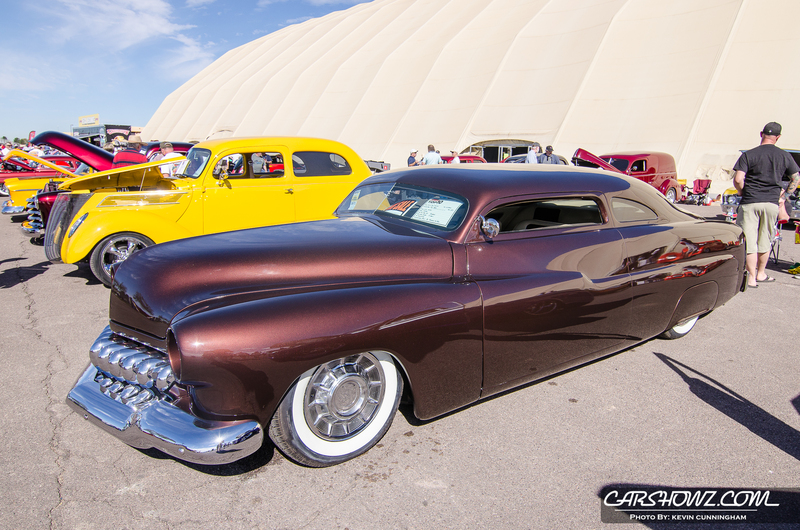 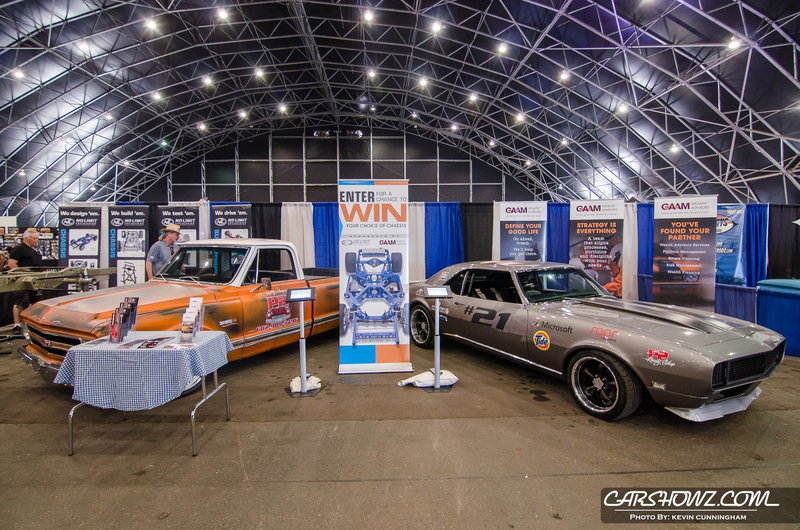 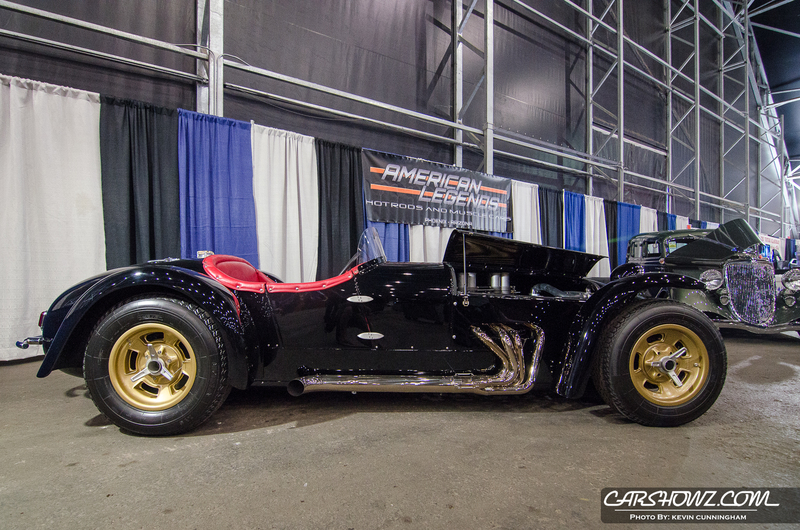 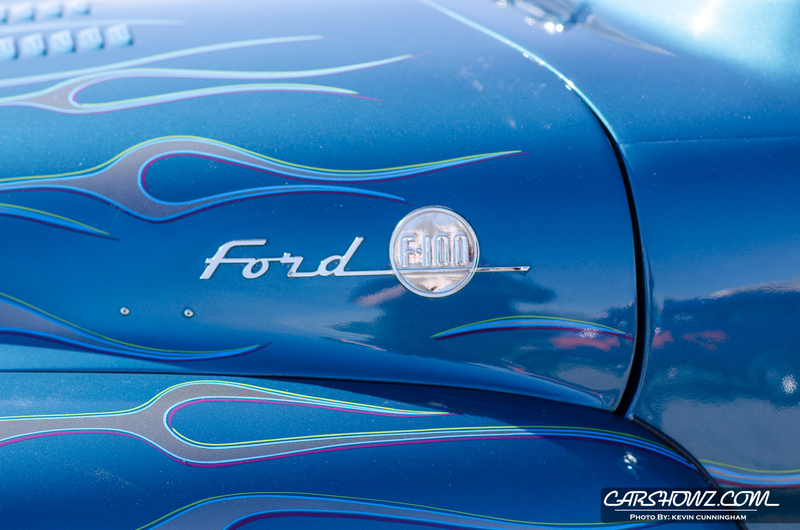 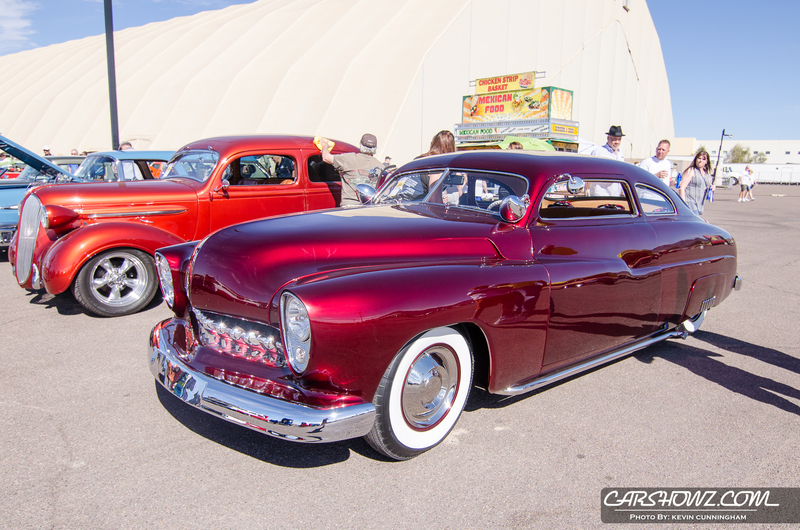 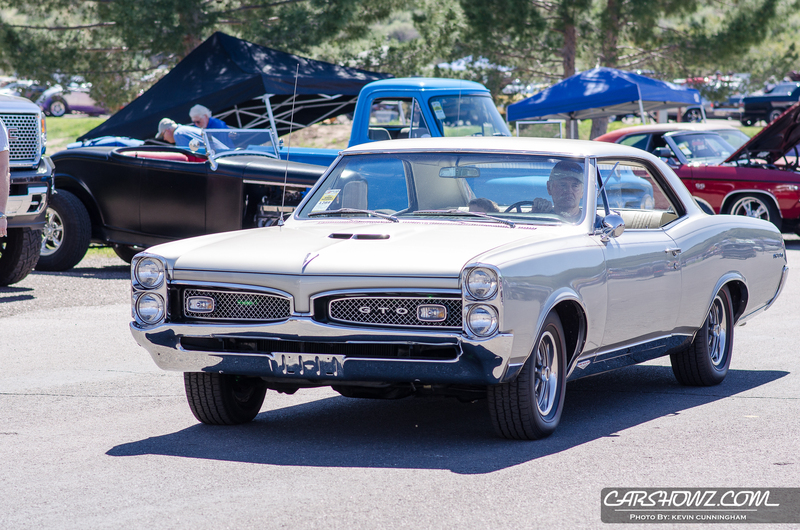 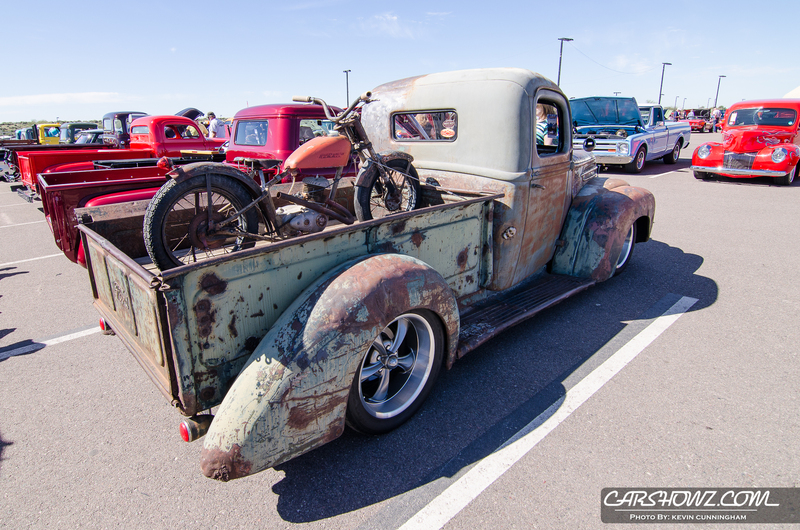 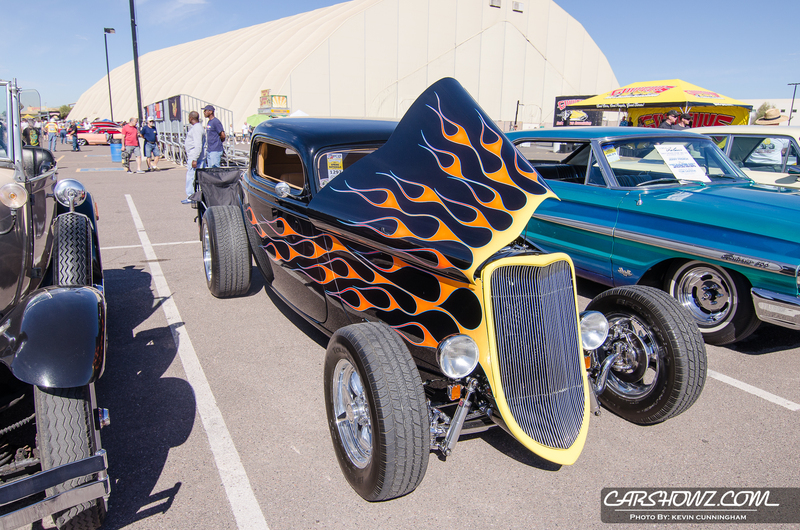 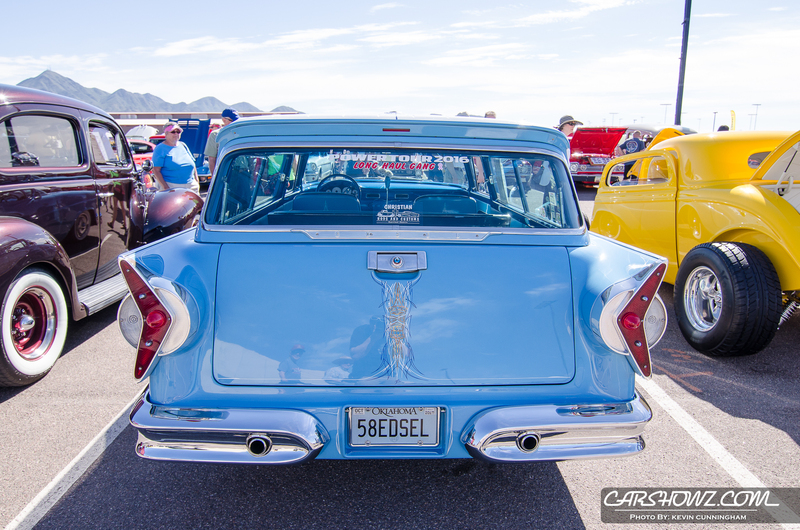 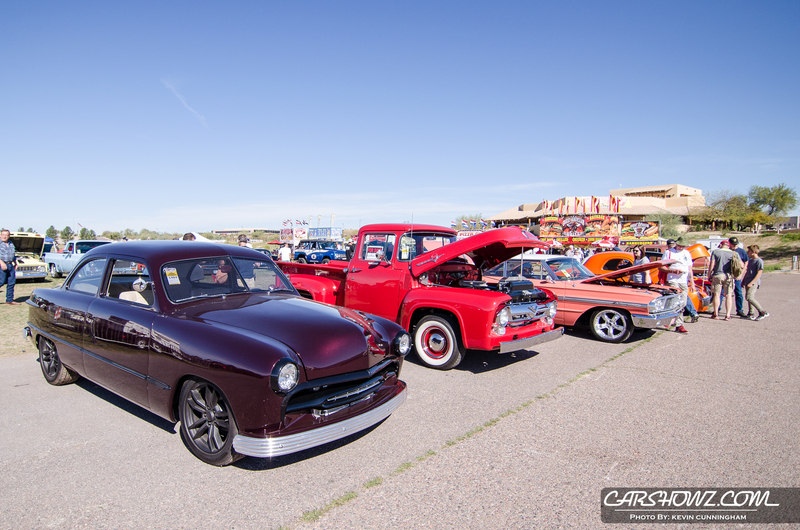 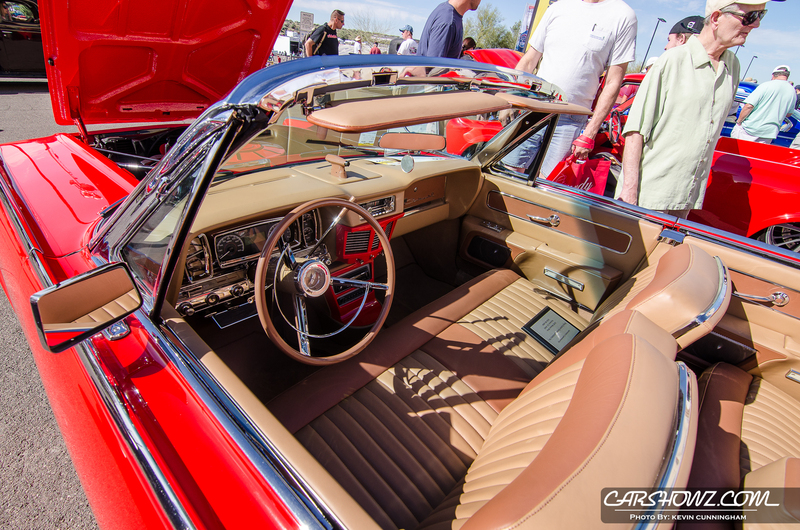 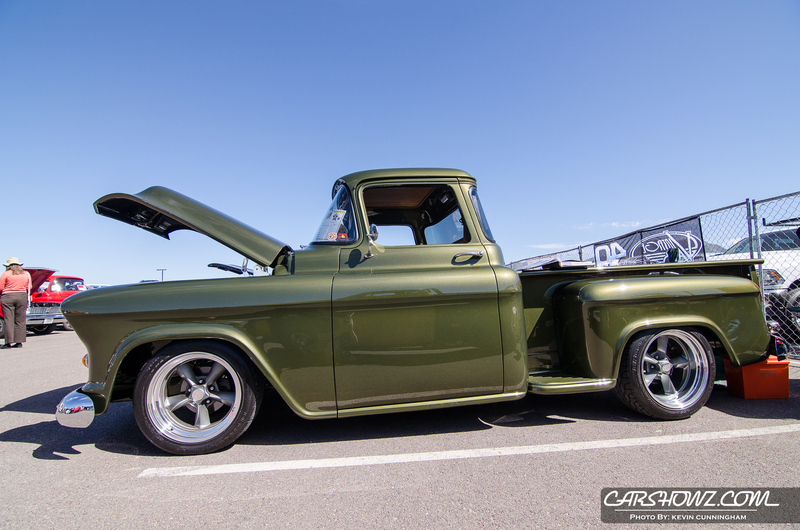 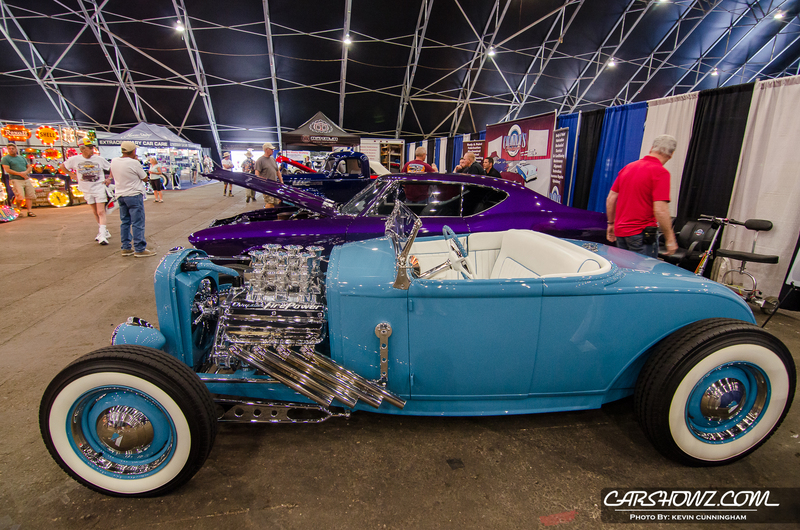 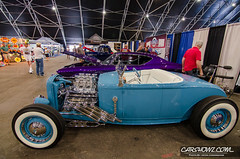 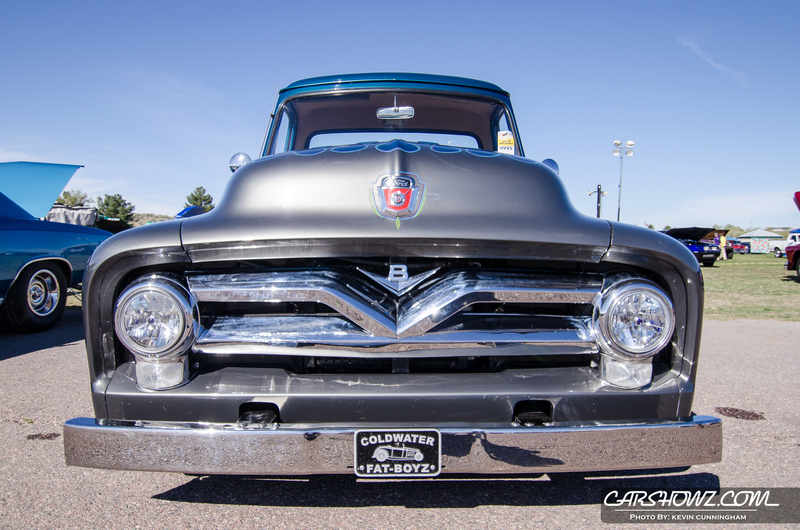 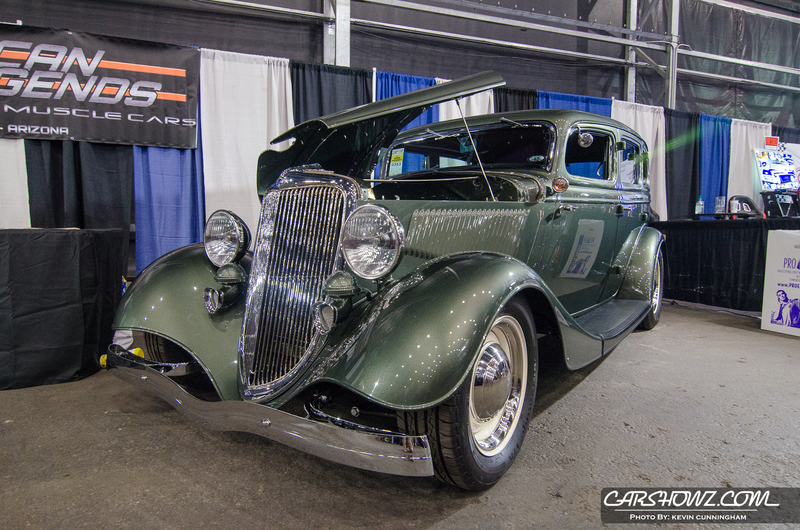 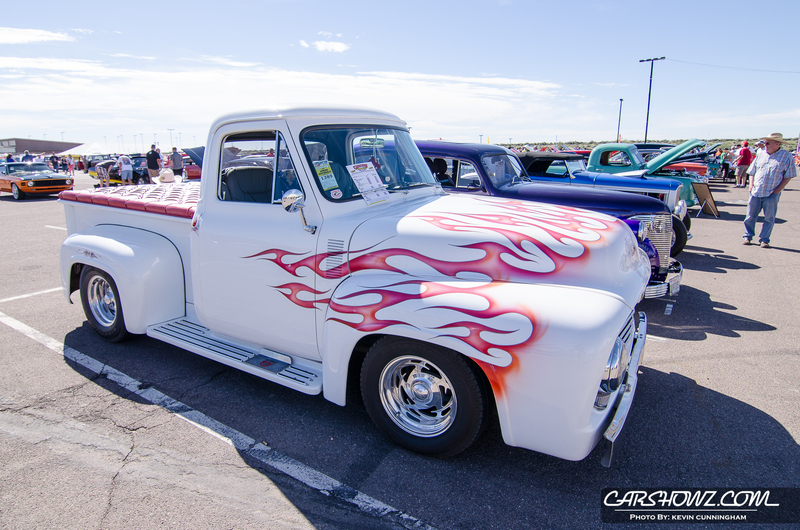 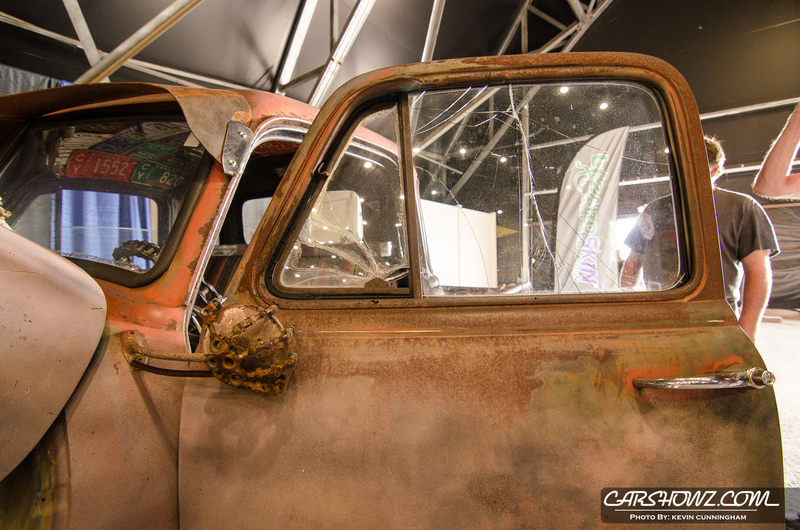 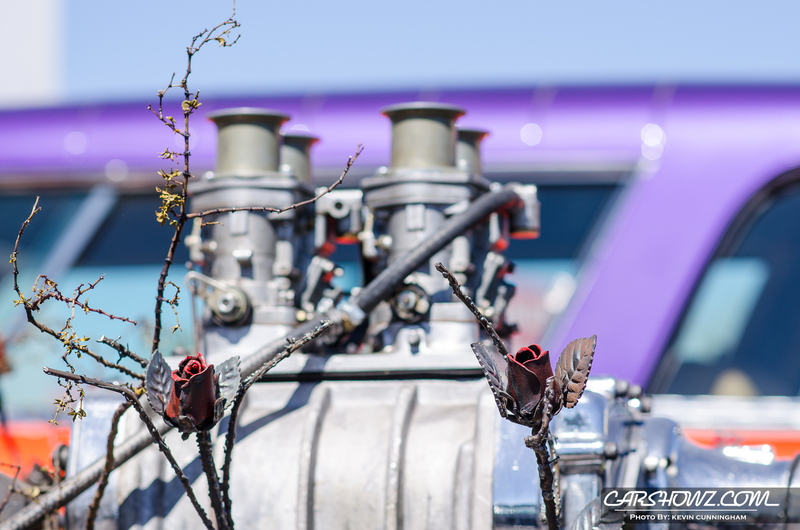 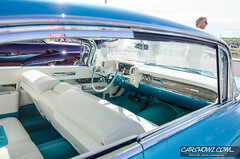 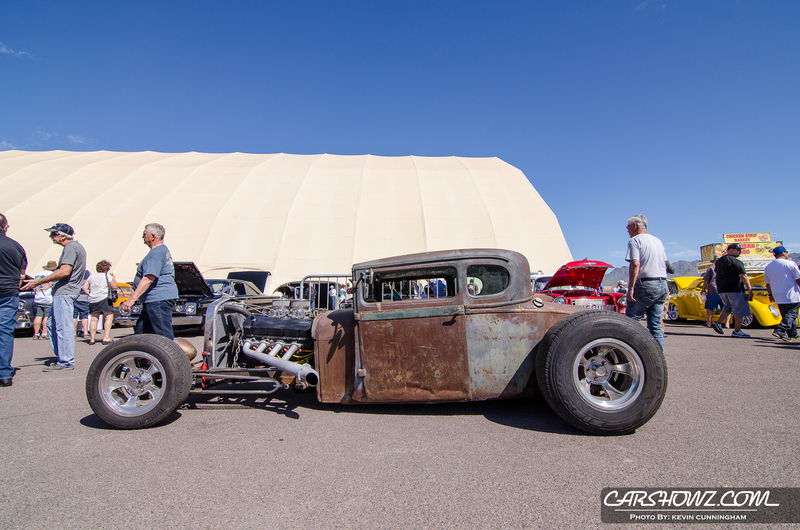 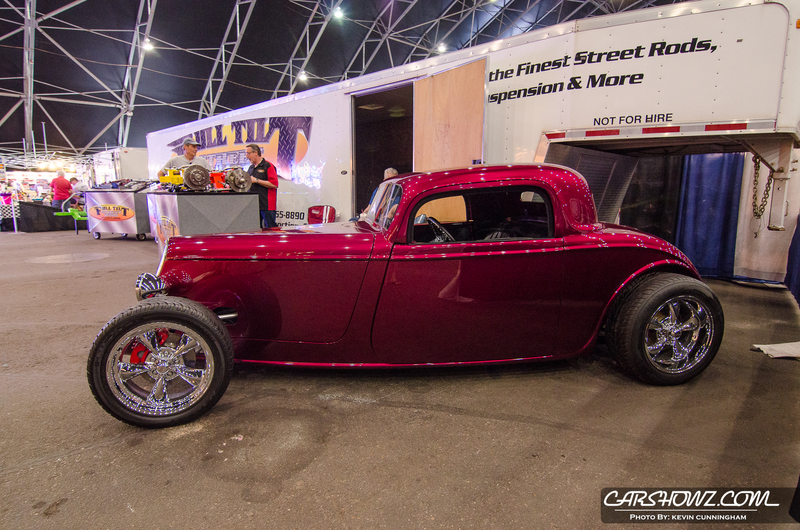 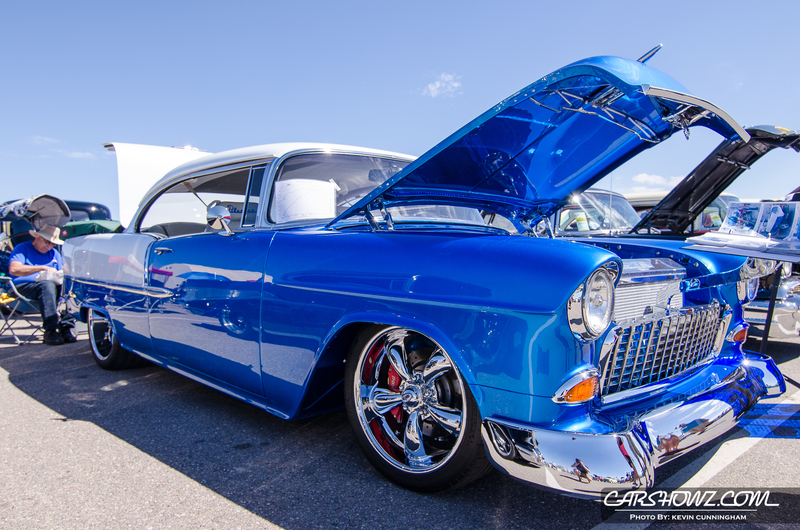 Spring Nationals was a record-breaking show for Goodguys with over 2,500 vehicles. 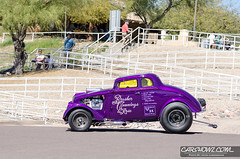 It seemed that the number of spectators was up from the Southwest Nationals but I haven’t heard an exact number. 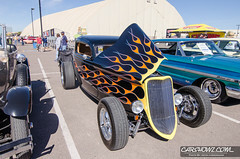 Either way, it was a highly successful event for them as they kicked off their show season. 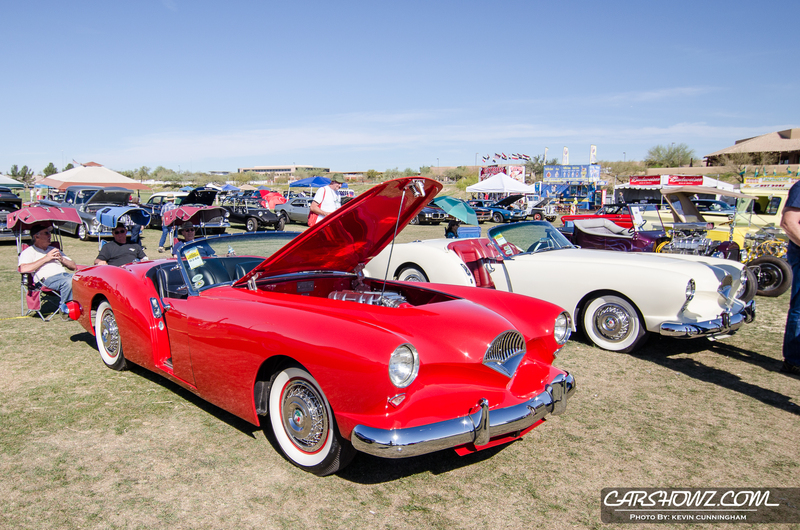 Mark your calendars for their 20th Southwest Nationals at WestWorld of Scottsdale November 17-19! 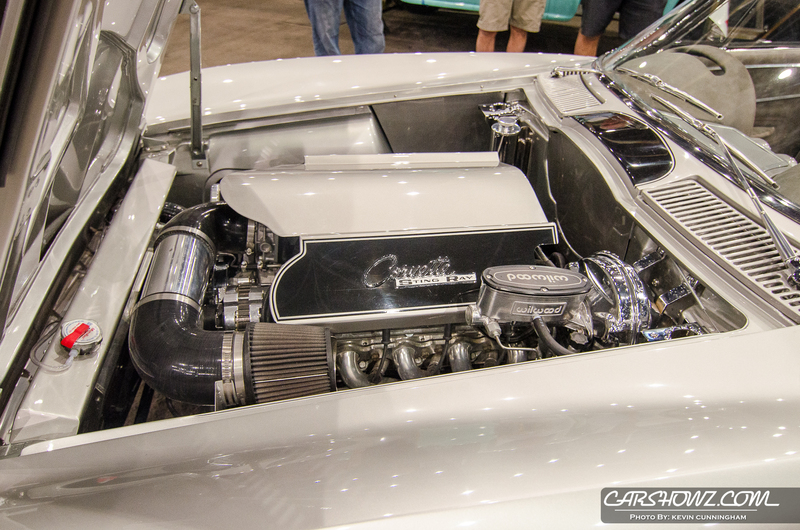 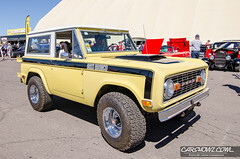 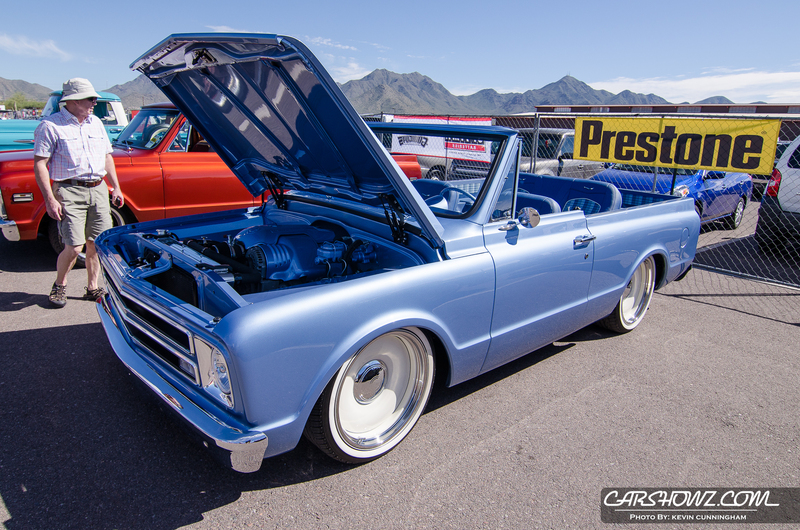 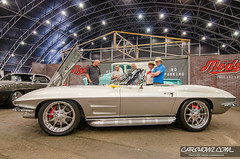 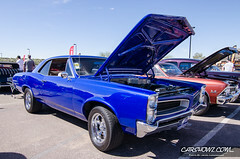 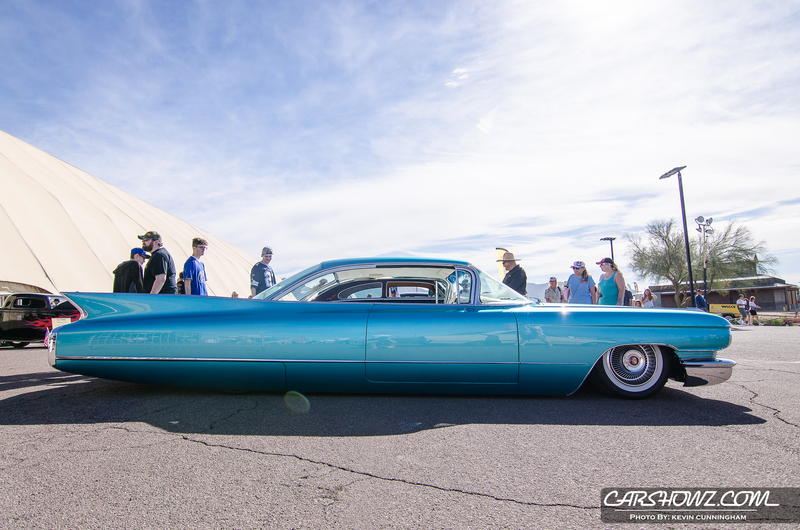 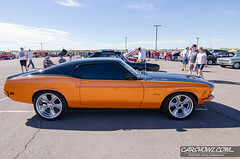 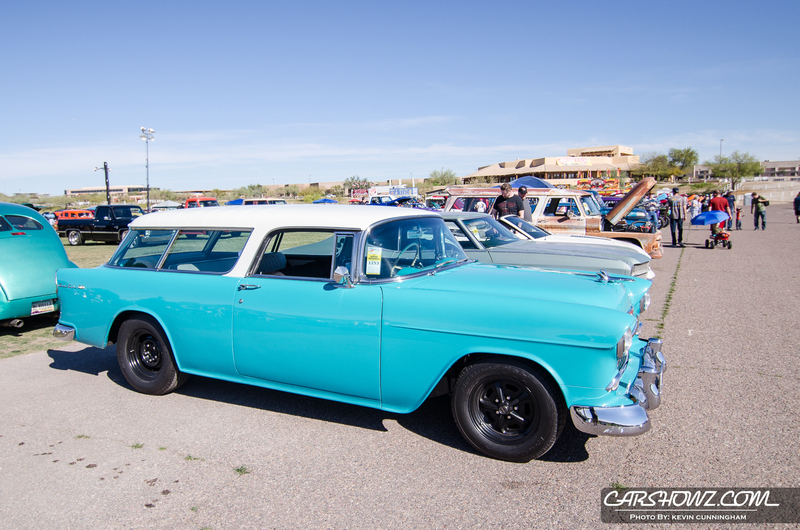 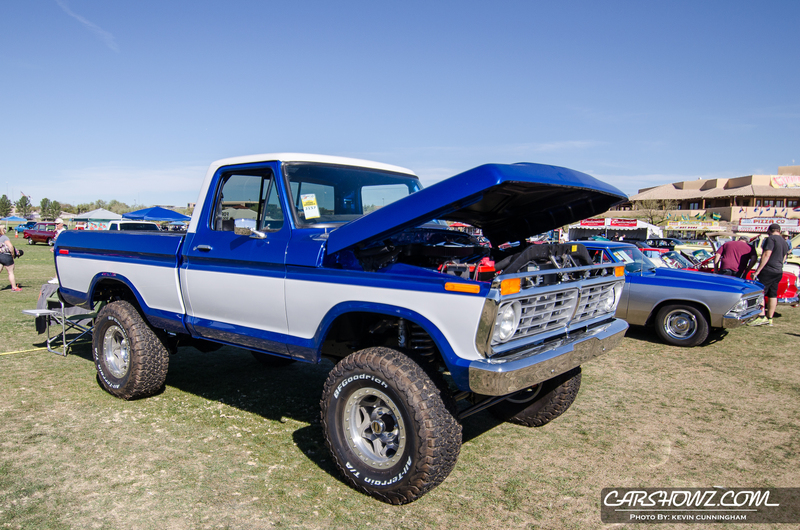 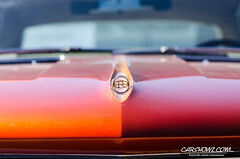 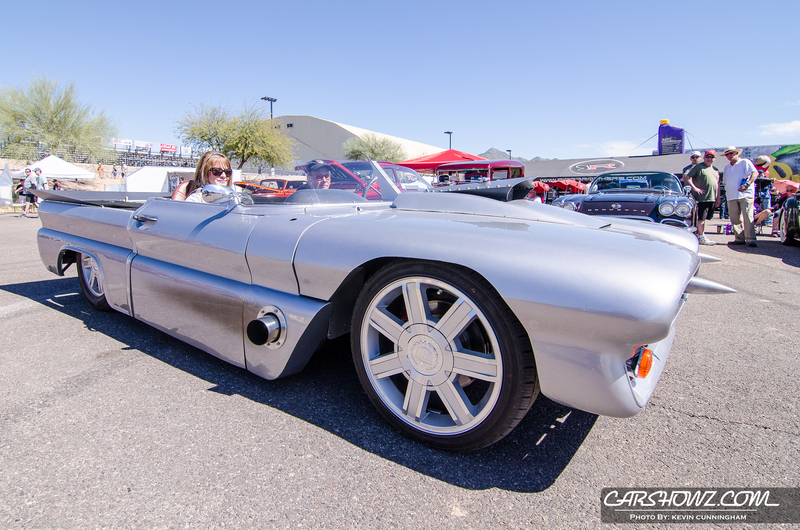 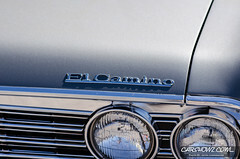 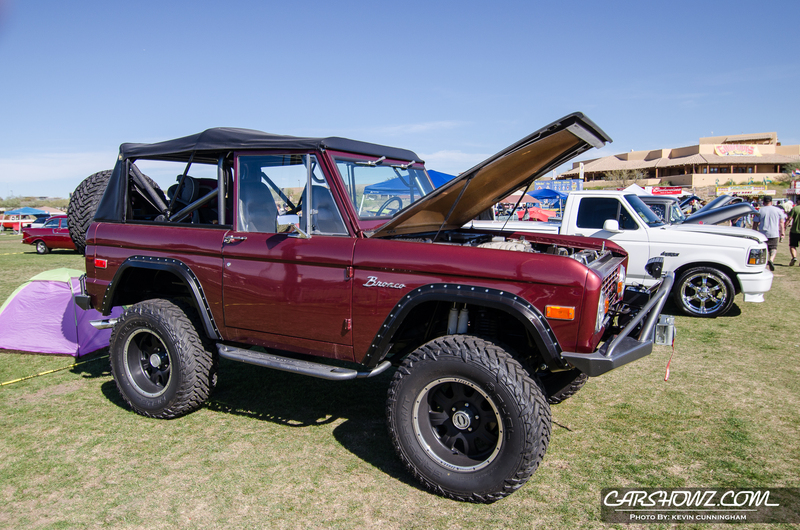 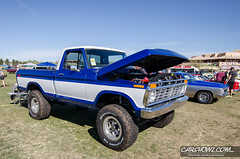 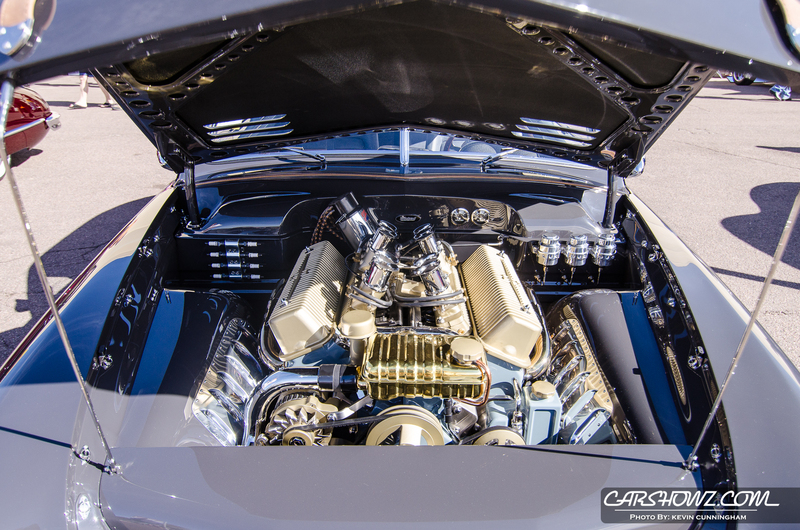 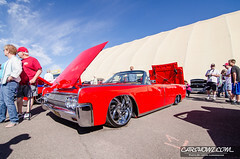 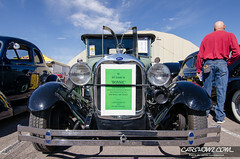 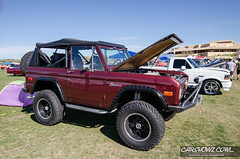 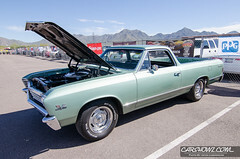 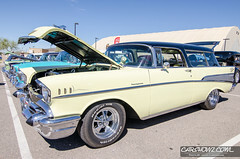 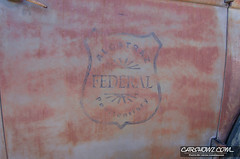 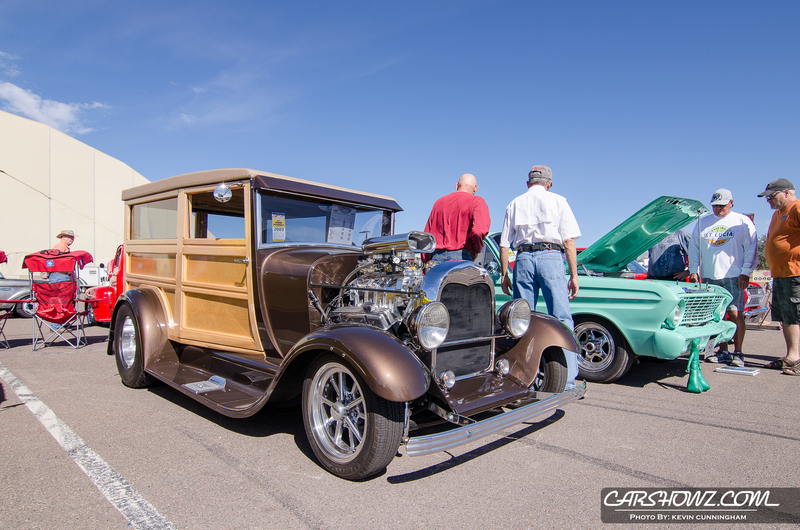 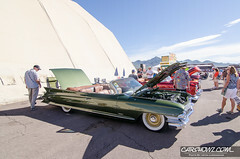 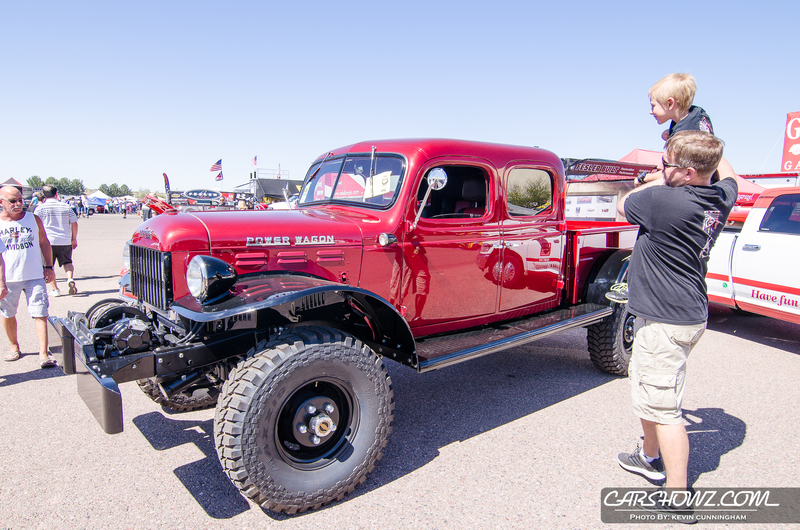 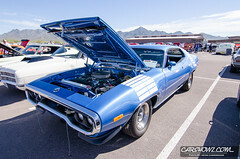 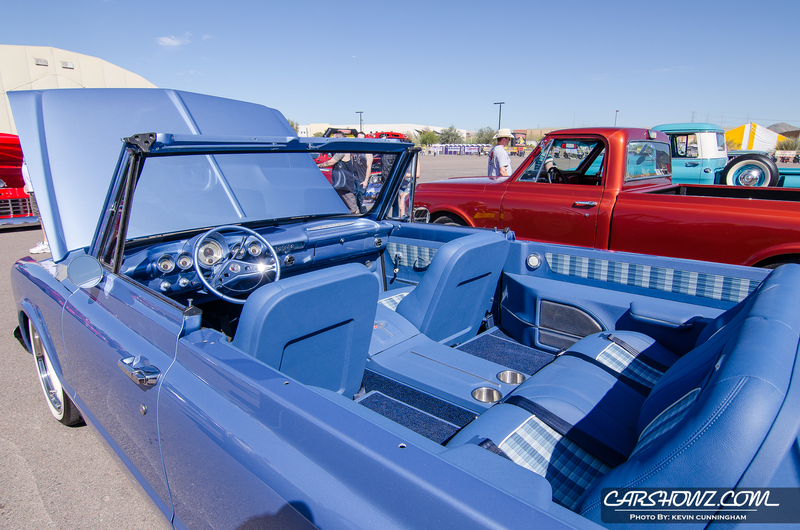 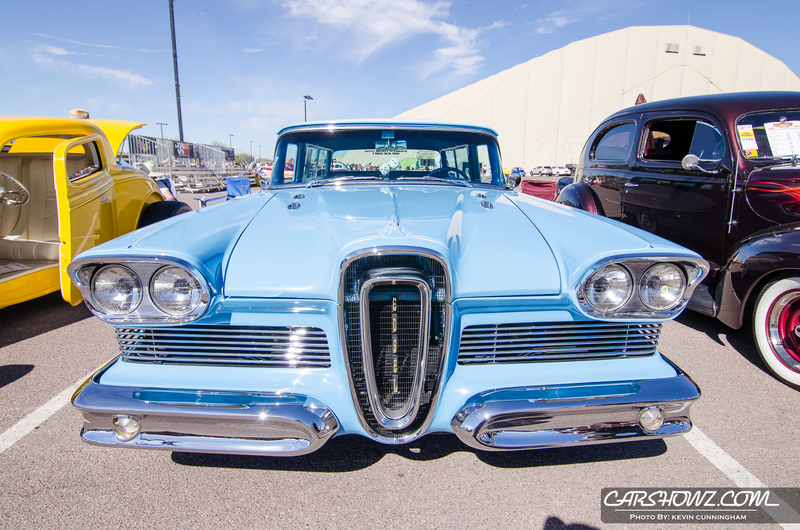 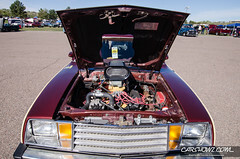 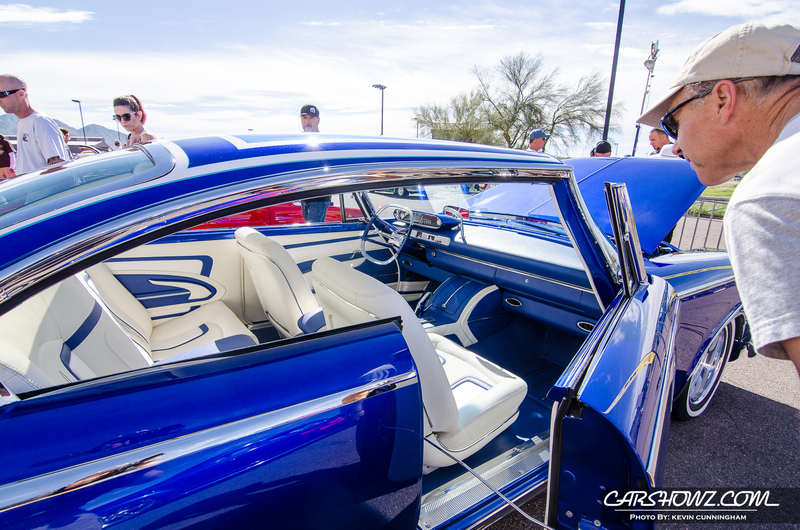 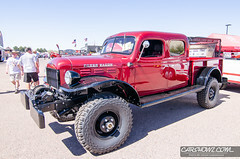 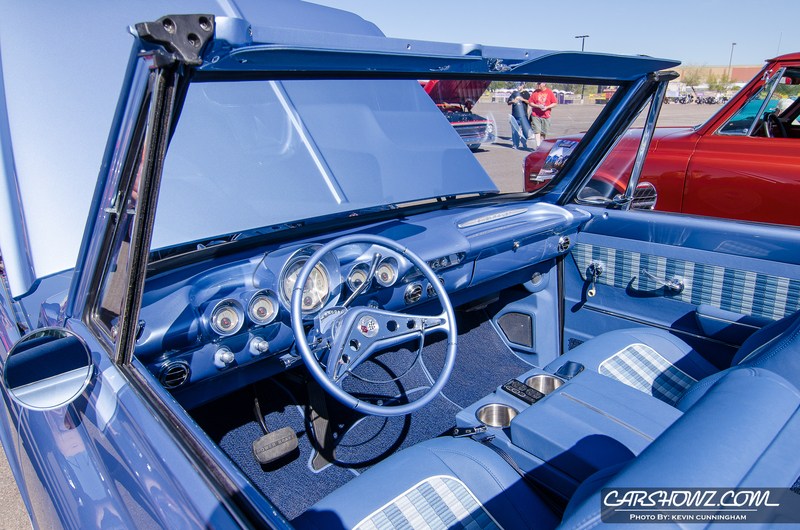 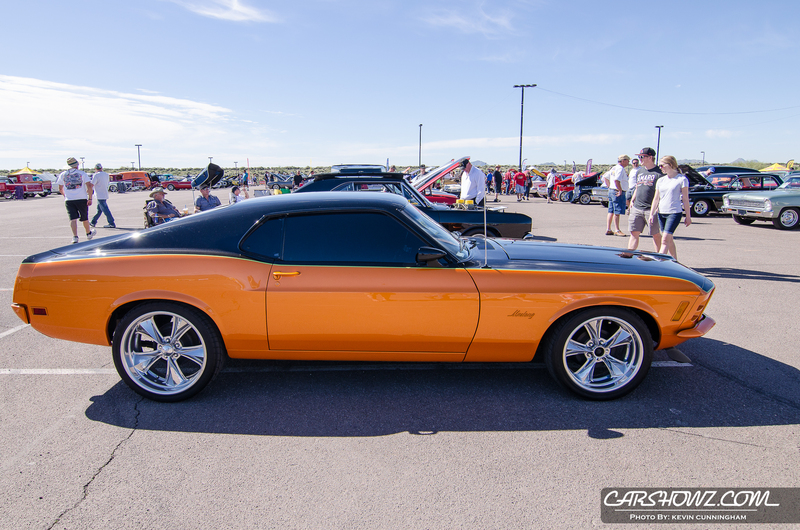 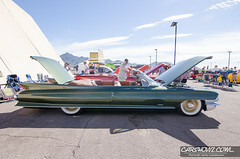 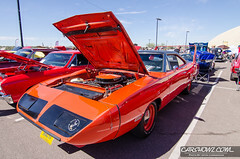 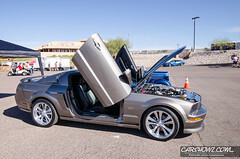 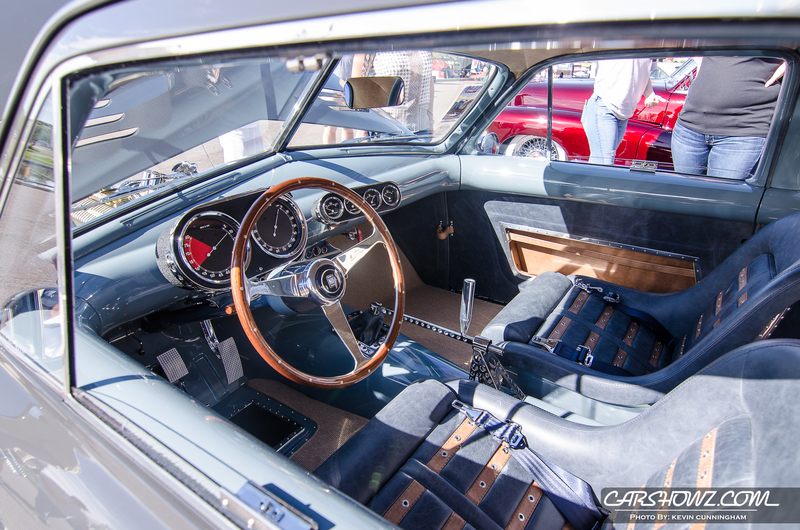 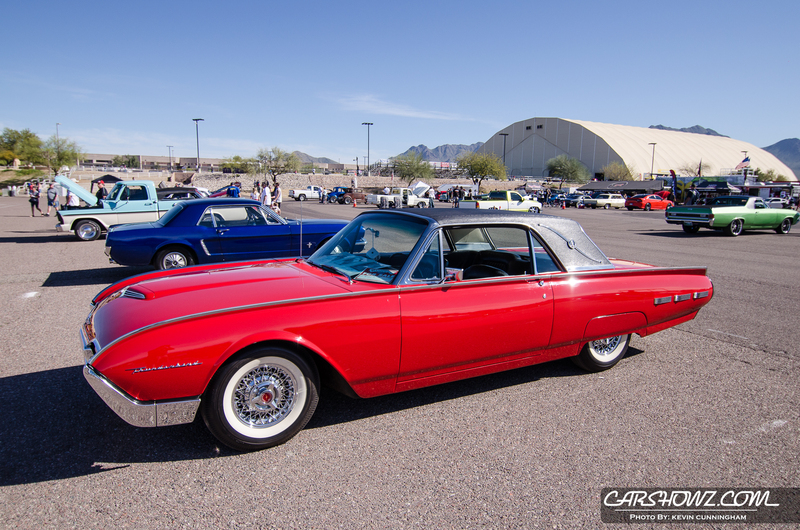 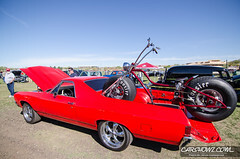 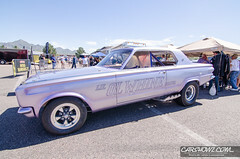 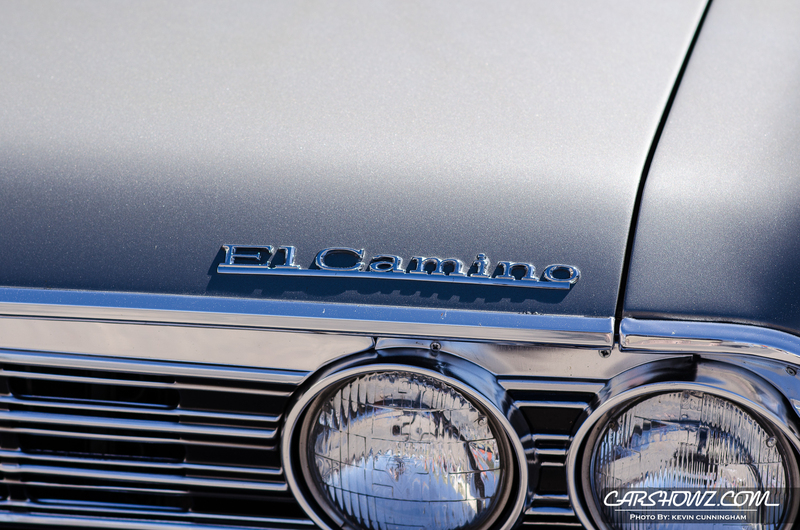 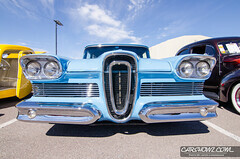 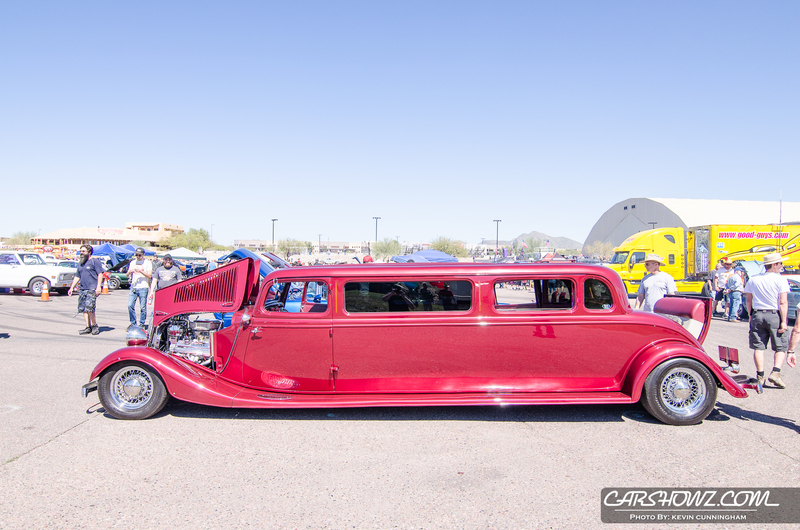 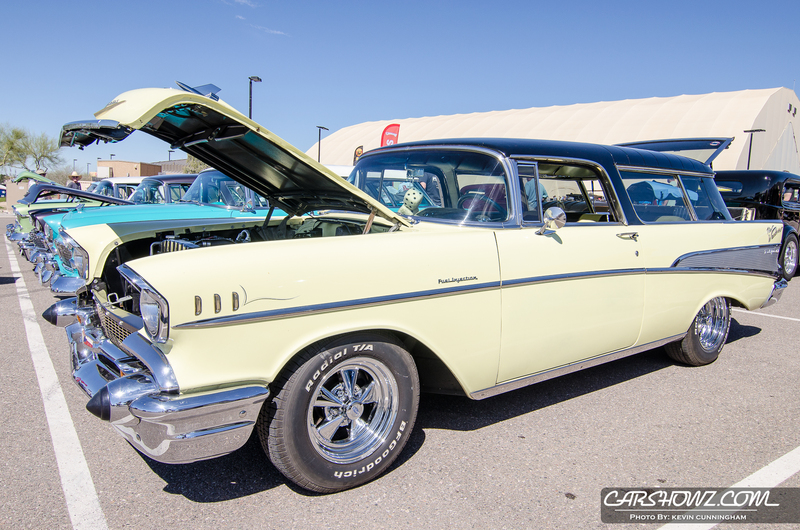 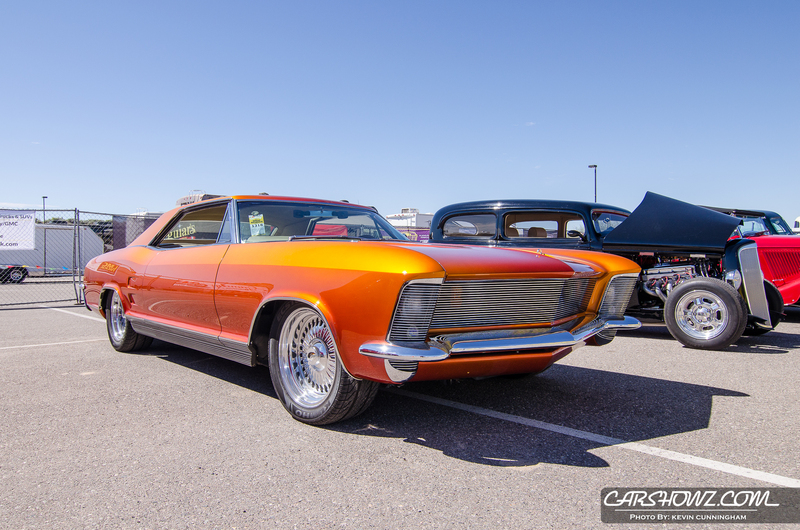 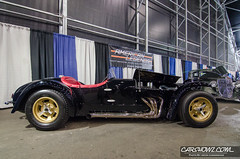 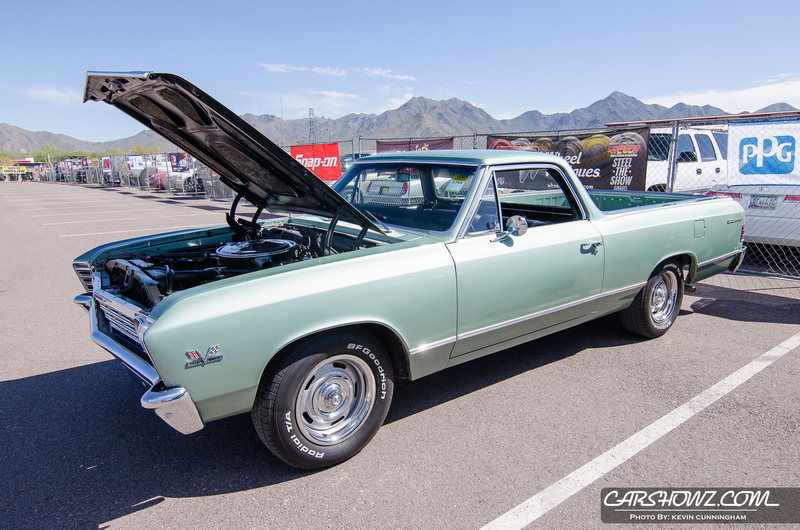 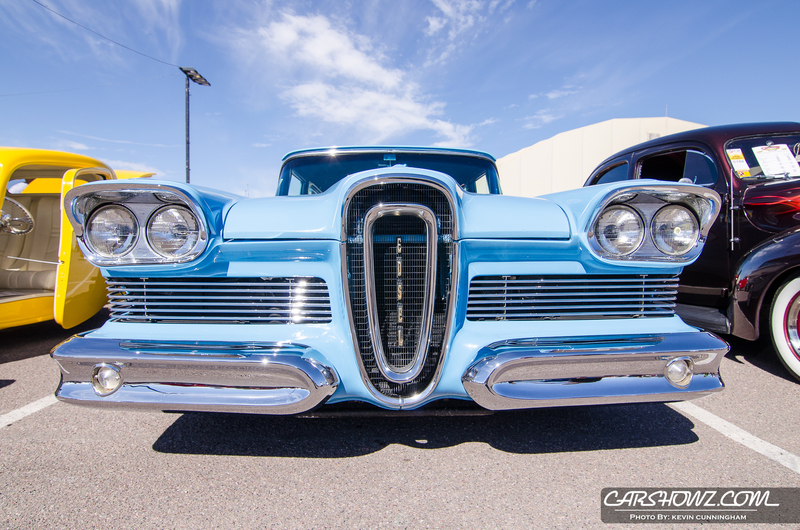 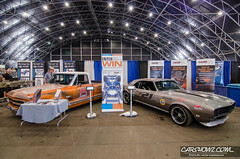 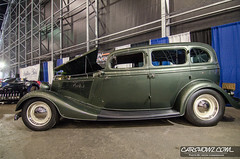 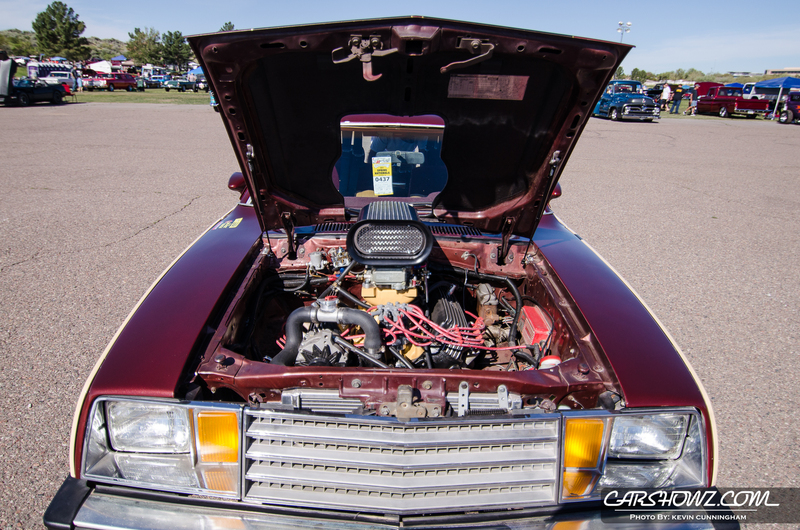 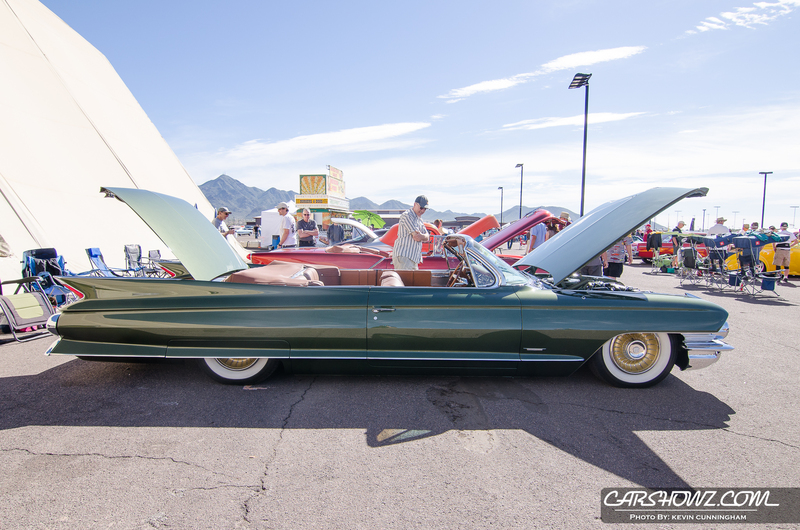 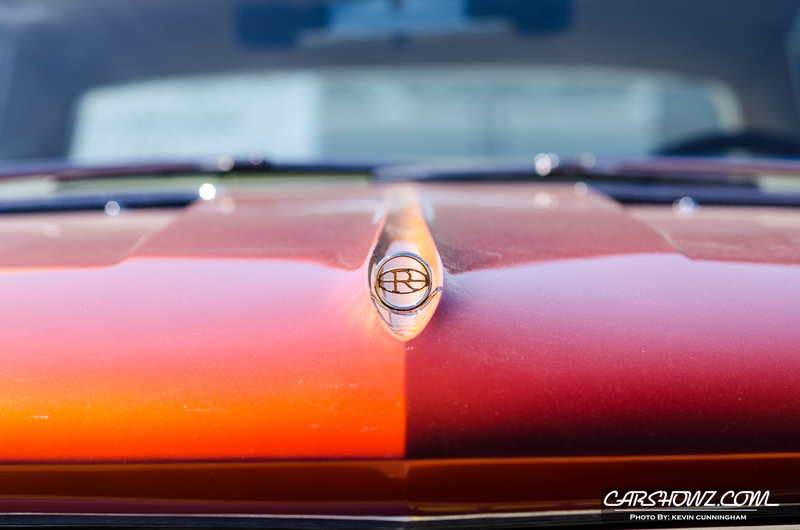 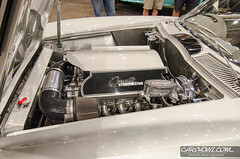 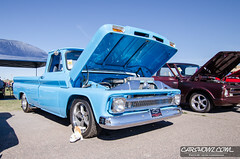 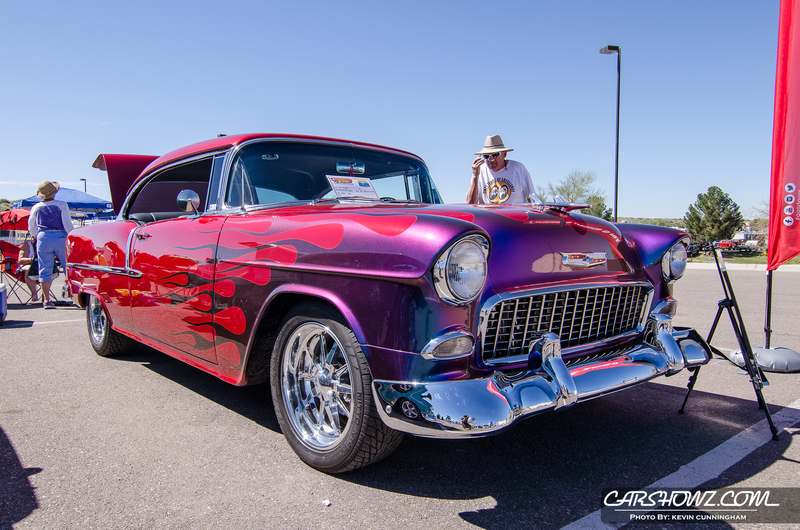 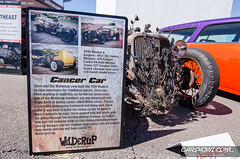 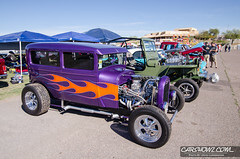 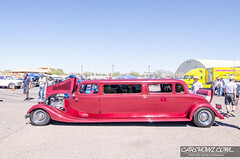 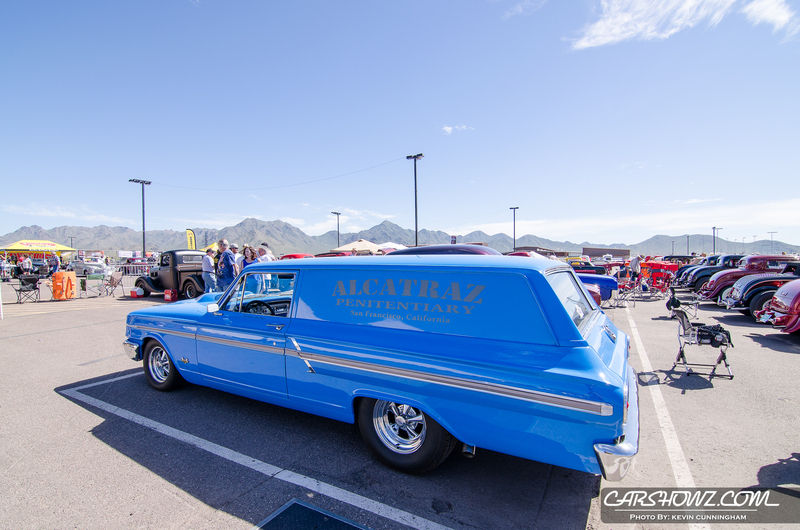 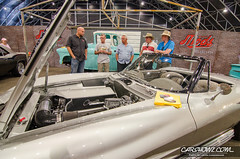 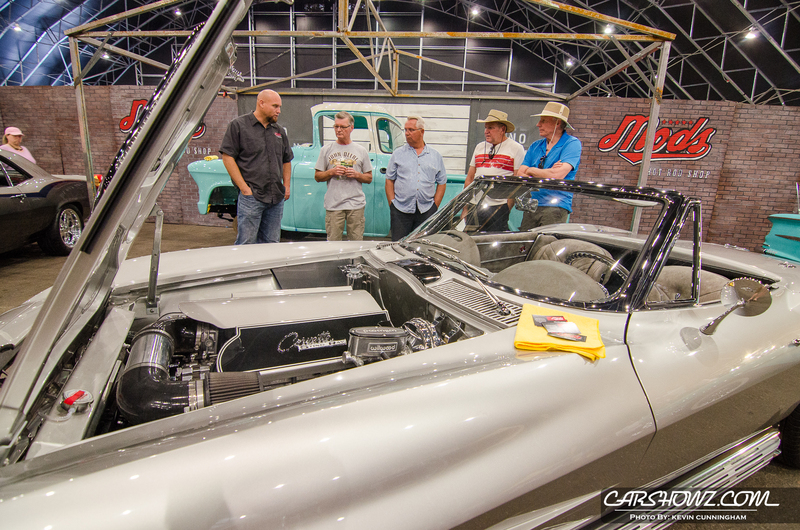 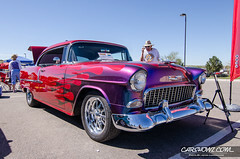 Visit CarShowz Arizona Show Listings, click here for more info.